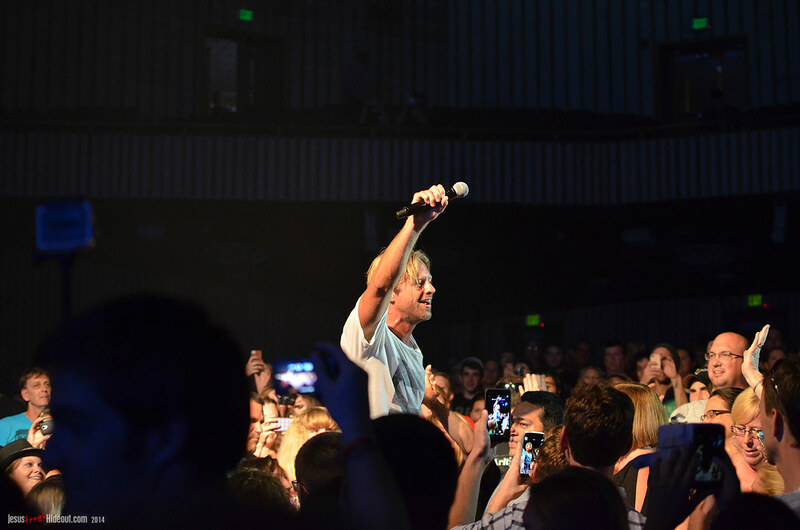 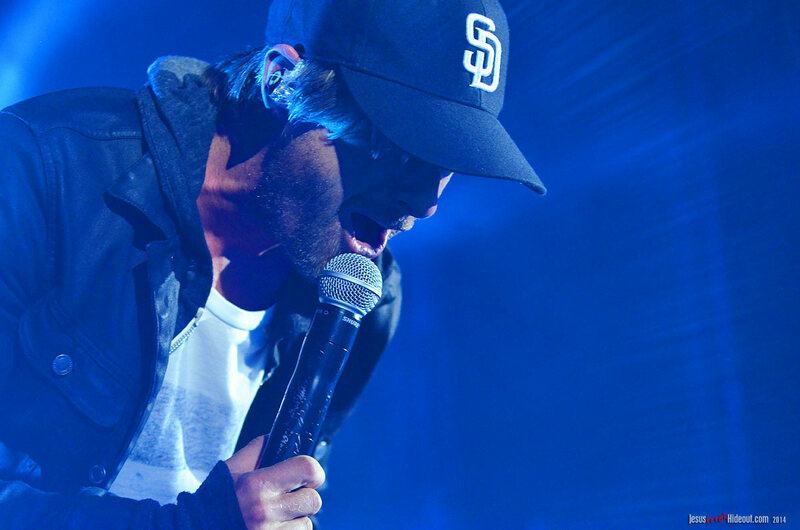 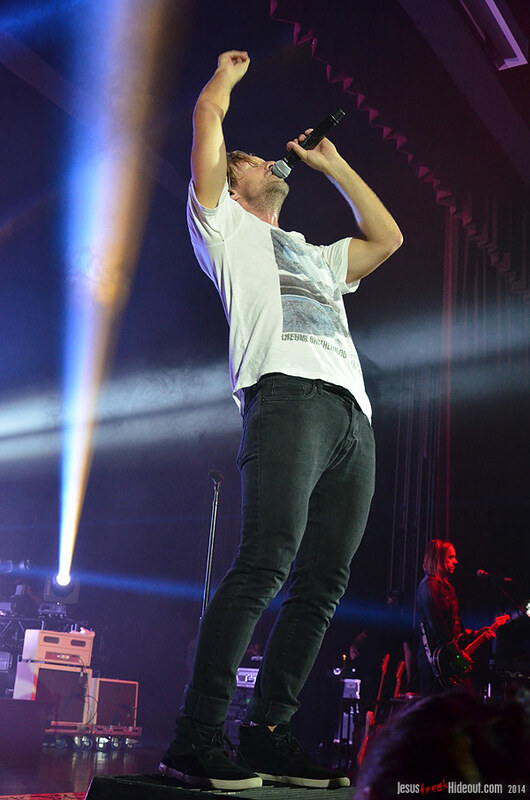 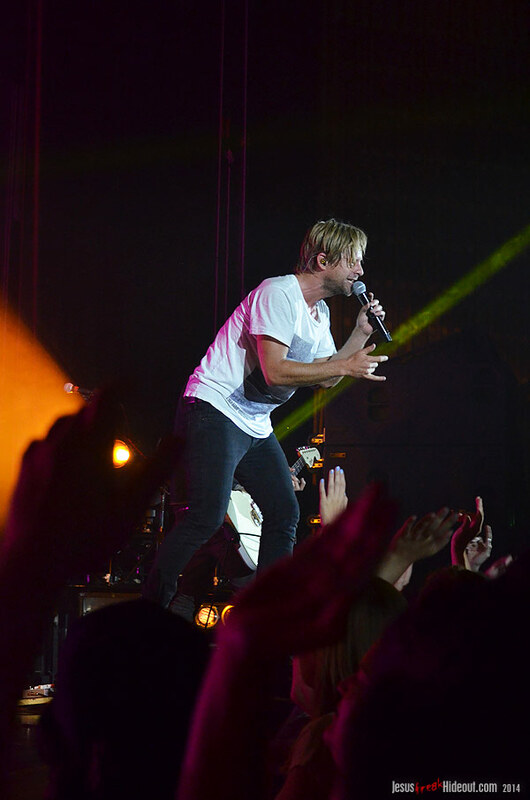 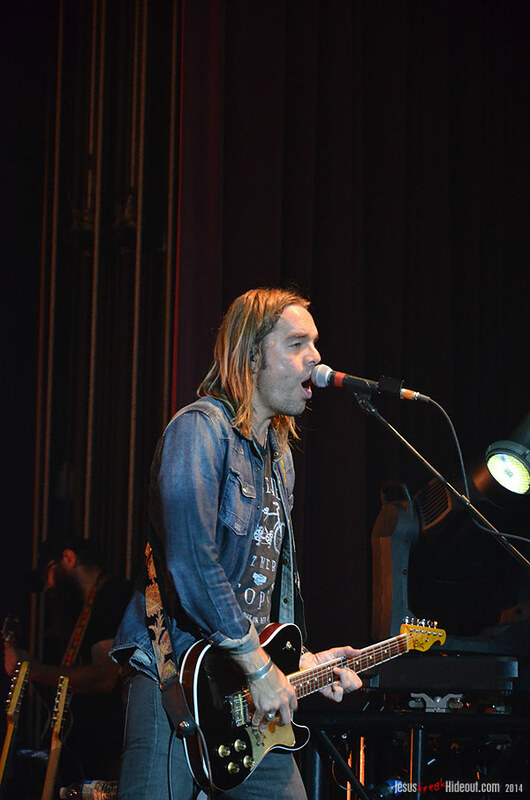 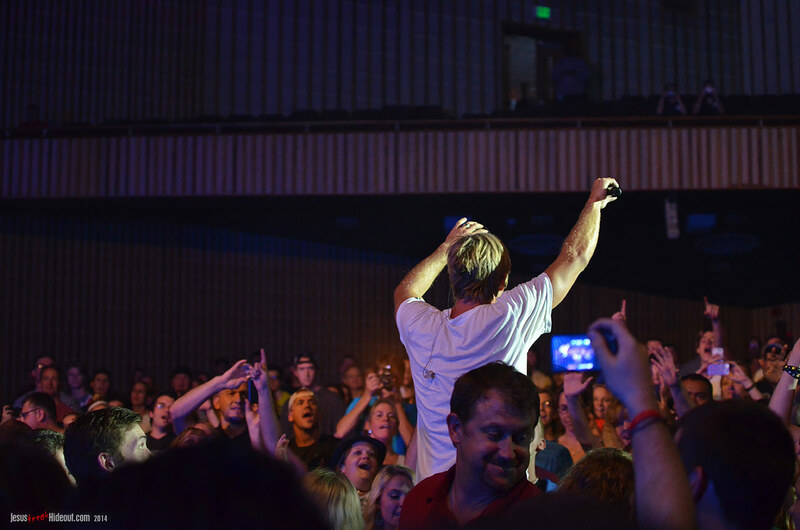 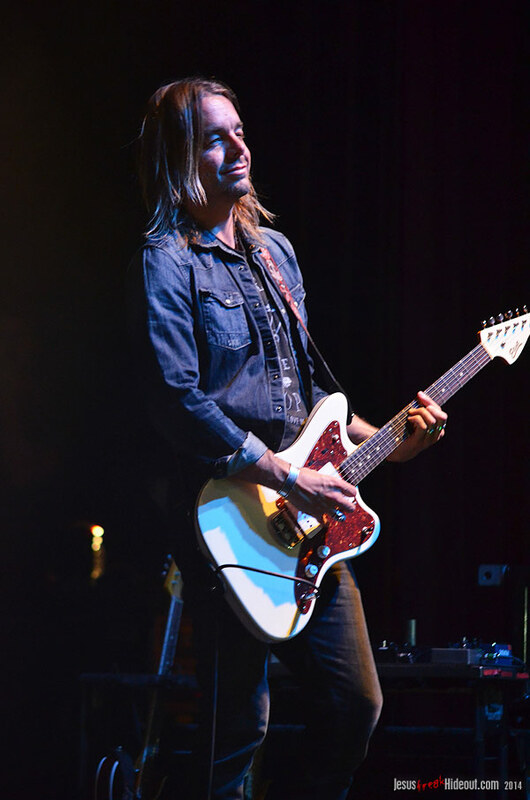 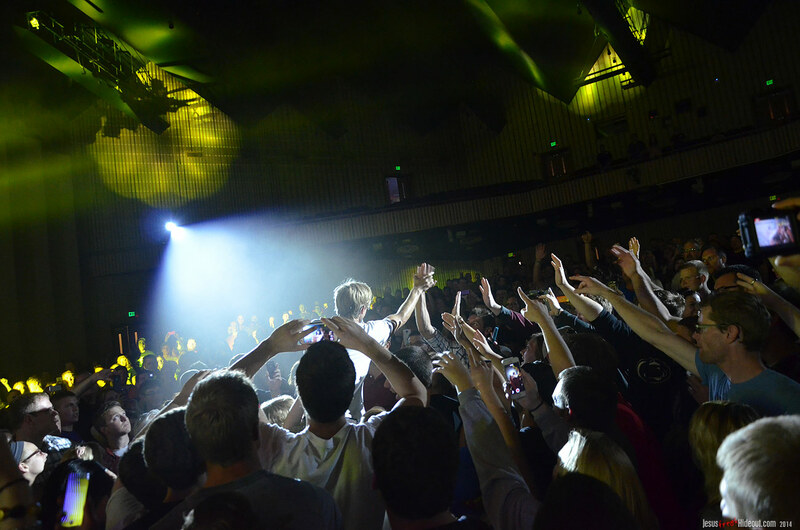 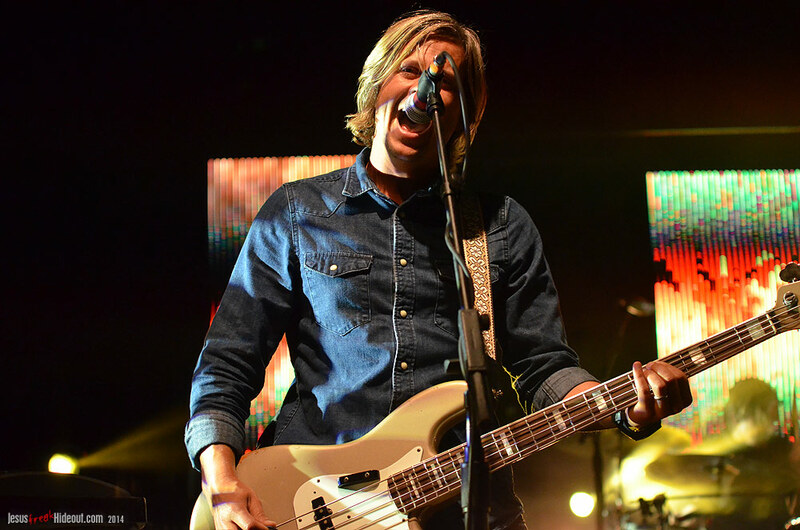 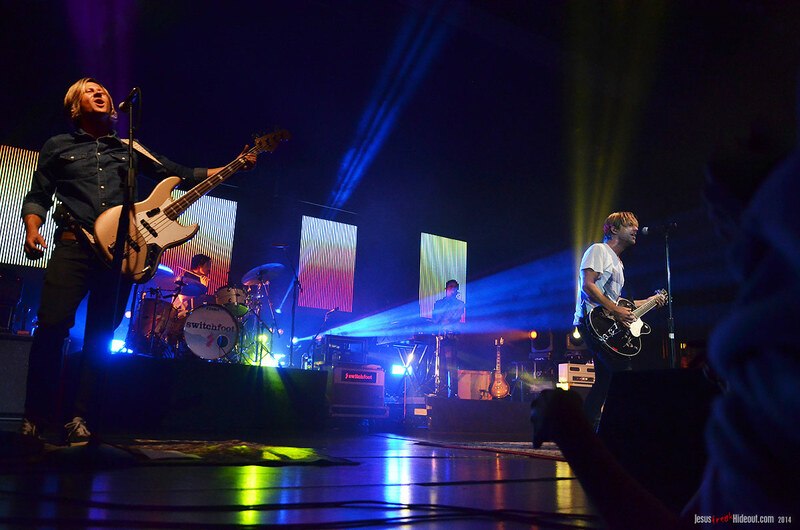 With the poppier sounds of Switchfoot's Fading West album, the San Diego band's live shows may have gotten even more energetic and interactive as it spurs fans on to sing along with the band even louder and more enthusiastic than before. 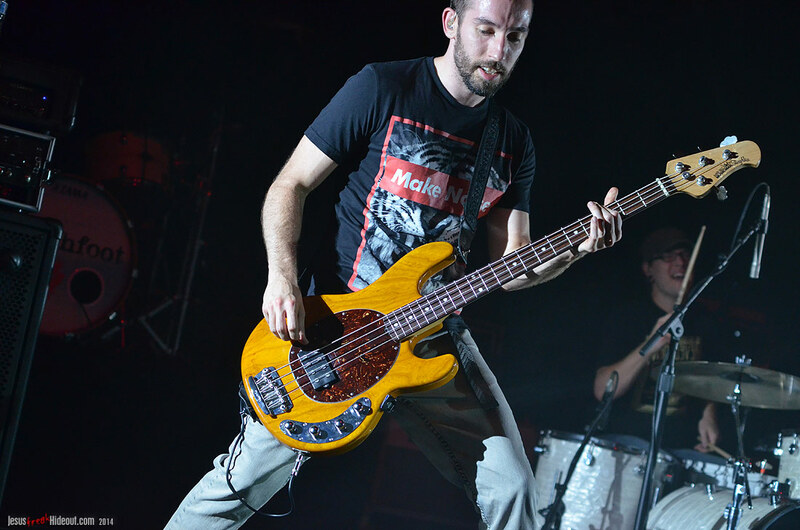 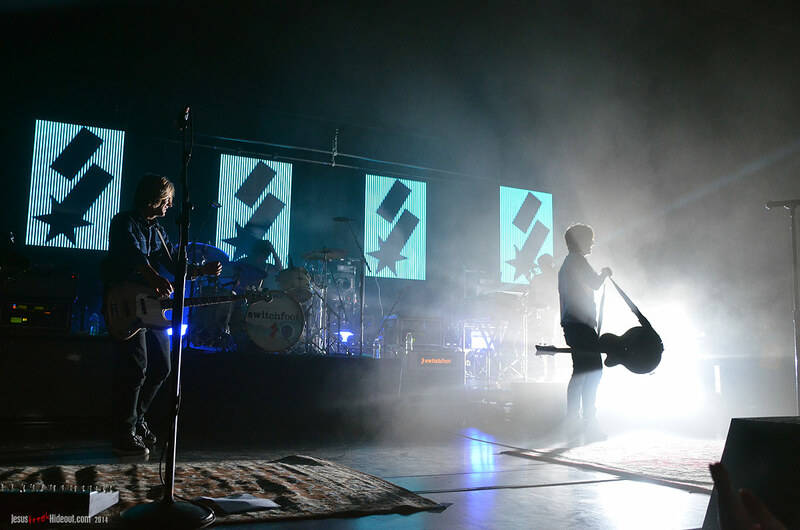 The rock quintet came back to Pennsylvania for the second night of their fall tour, following Virginia's Awakening Festival the night before. 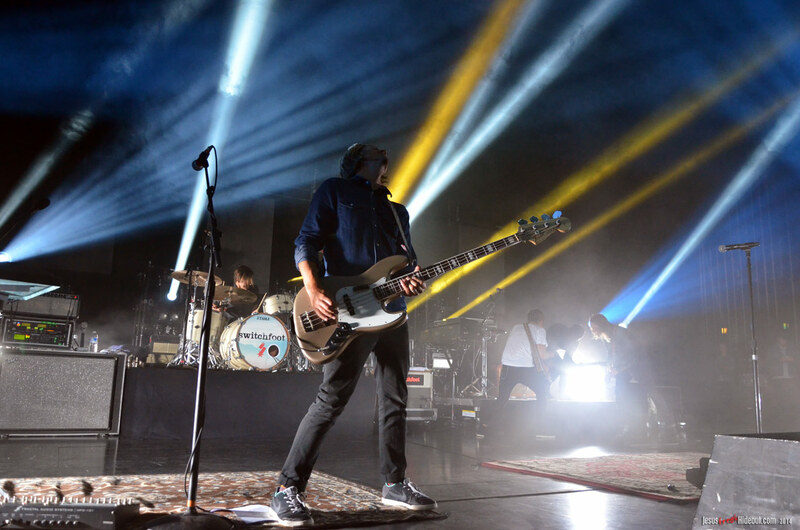 Gungor has been slated to appear on many dates of Switchfoot's fall tour, but at least for this night's show, former Flyleaf vocalist Lacey Sturm and her band was joining Switchfoot instead. 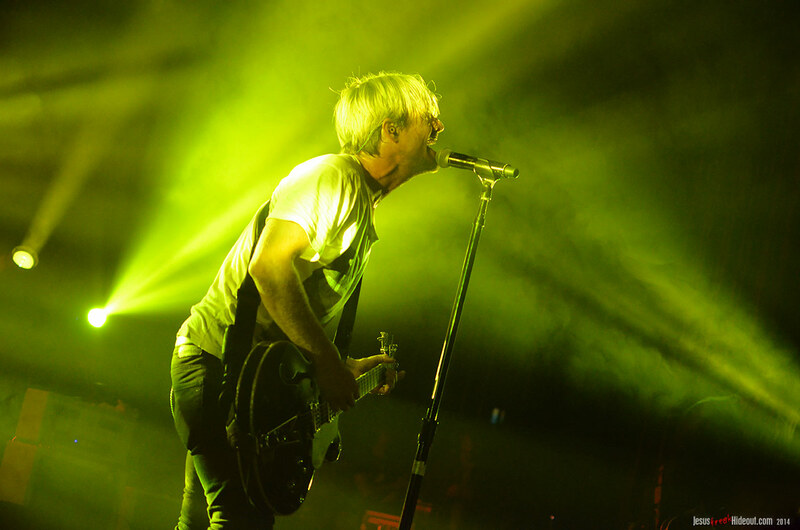 Uprise Events, who host the excellent Uprise Festival in Shippensburg, PA each year, brought Switchfoot in and did a great job hosting the show. 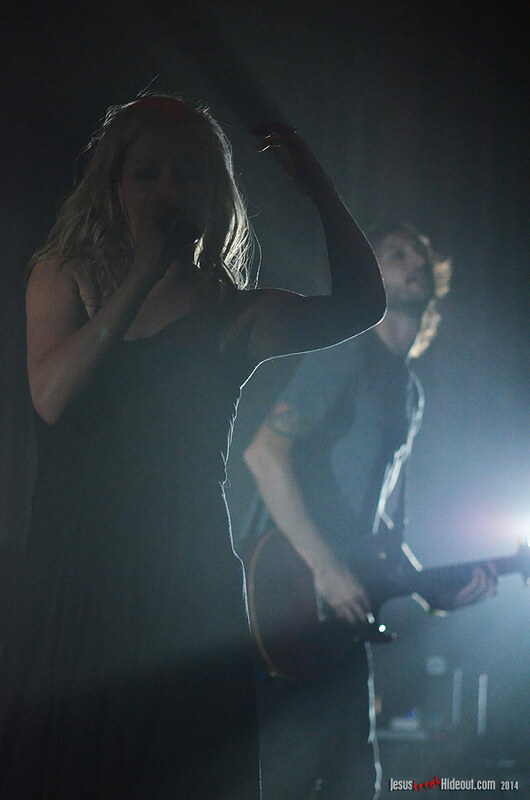 Lacey and her band kicked the night off with a full-length set, surprisingly, virtually performing as if it were a co-headlining night. 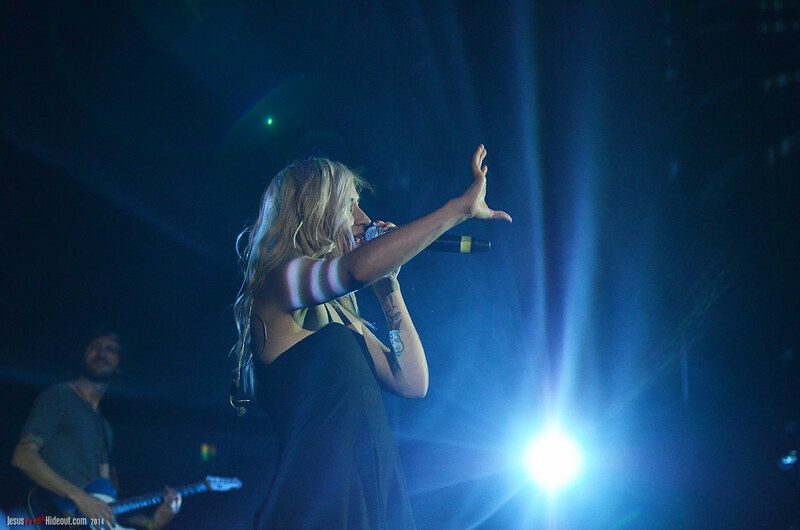 Nearly a dozen full-length songs filled her set, beginning, patriotically, with the "Star-Spangled Banner." 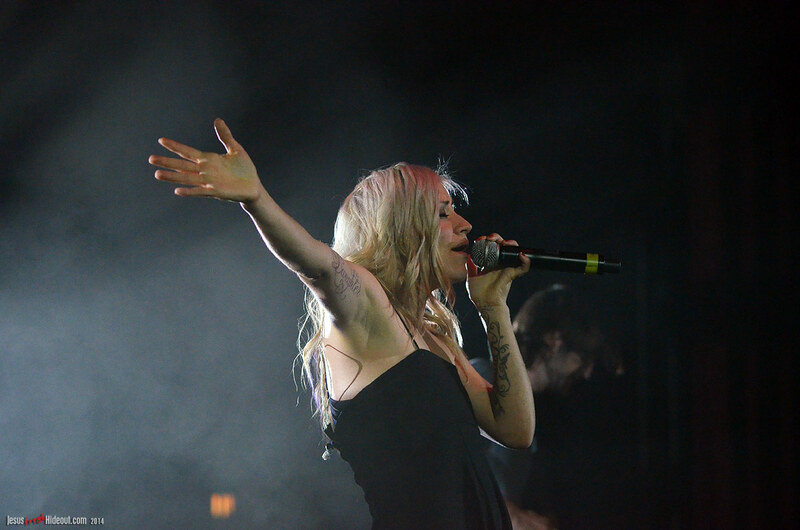 She then launched into the breakout Flyleaf hit "I'm So Sick" and immediately went right into "Fully Alive." 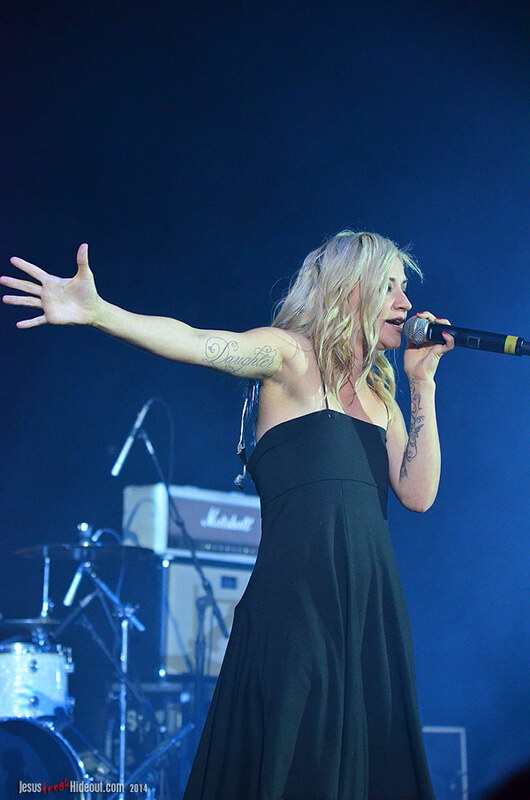 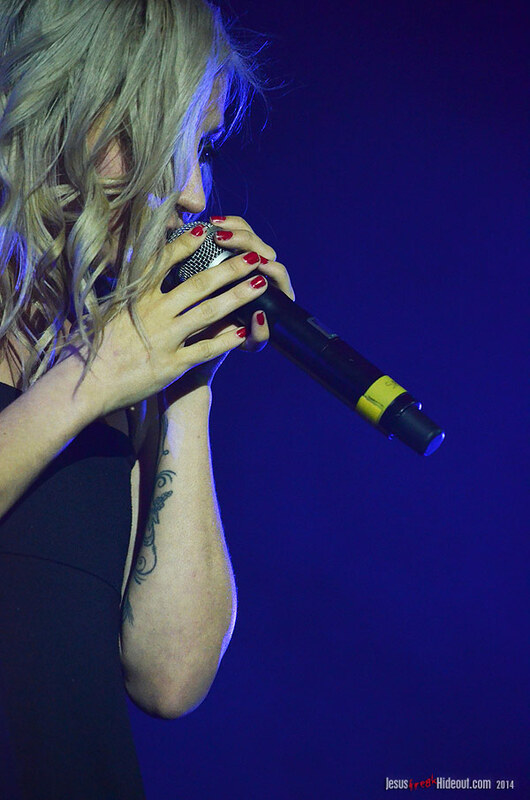 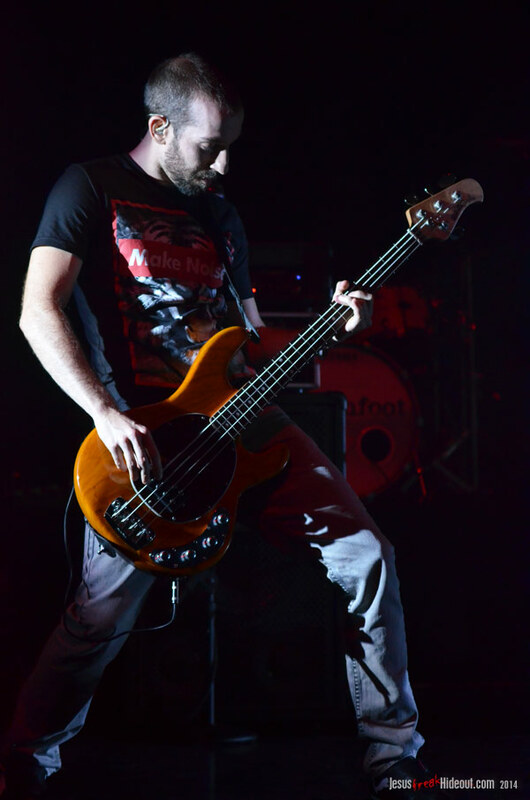 Clearly, she had her audience's attention (especially the few who might have been casual Flyleaf fans and didn't know her as "Lacey Sturm"), and Lacey followed her former band's songs with an introduction of the members of her current group, which included her husband Josh Sturm on guitar. 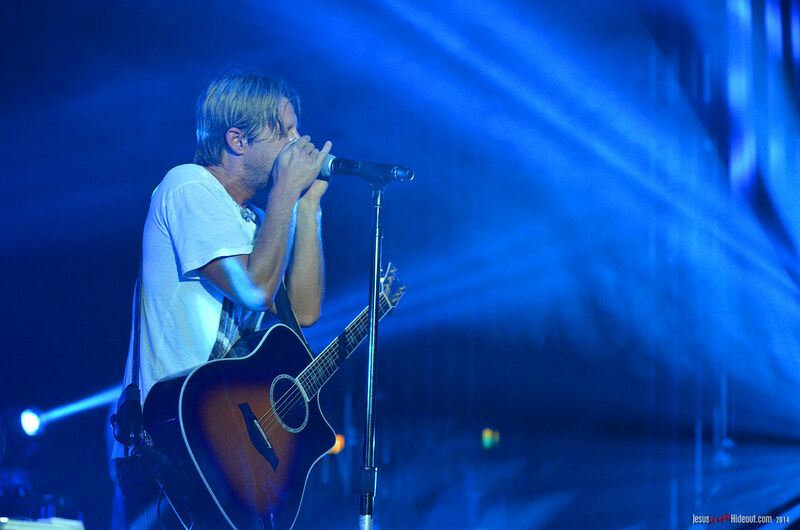 A new solo song, "The Soldier," was next, and then she shared about her past of flirting with suicide before being rescued by Jesus. 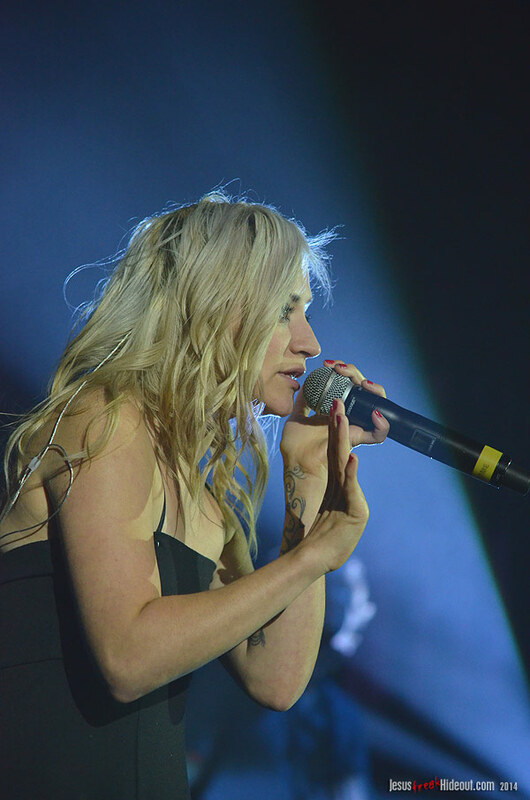 This introduced another new solo track, "You're Not Alone," before she revisited Flyleaf's Memento Mori album with "Chasm," a great rocker about the separation between Heaven and Hell. 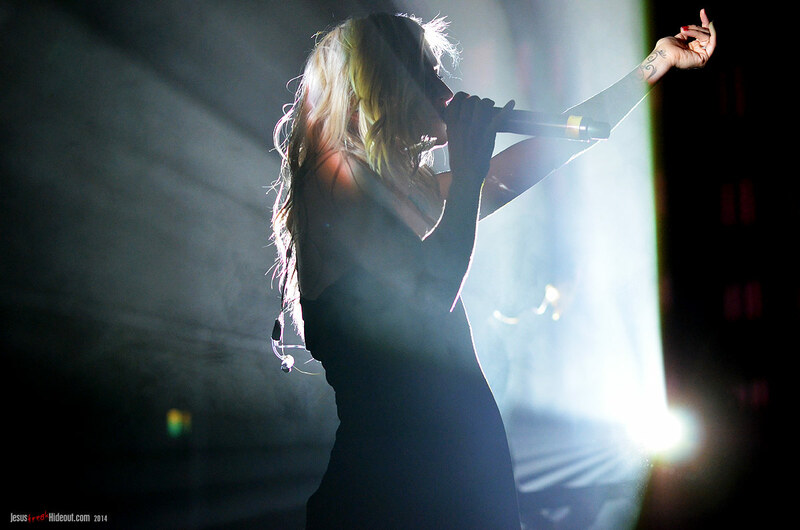 She then spoke on the topic of vanity, leading into "Rot," followed by "I'm Not Laughing." 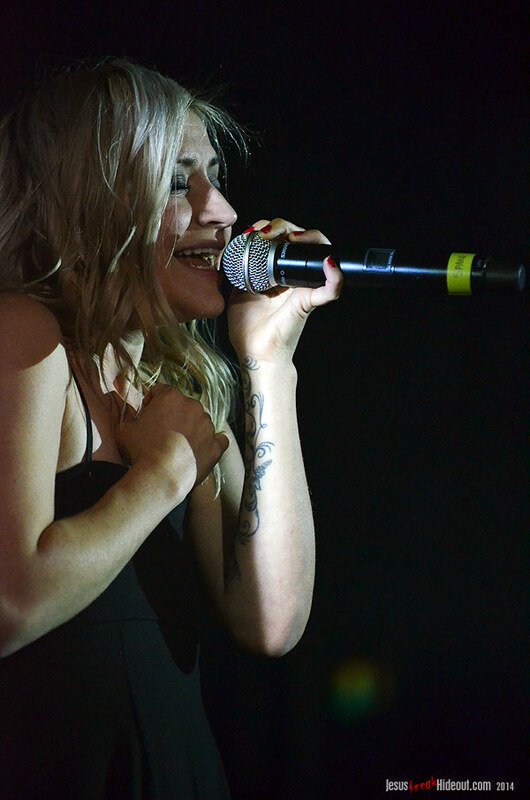 Lacey then encouraged the audience to know just how much God loves them, insisting "You are the miracle!" 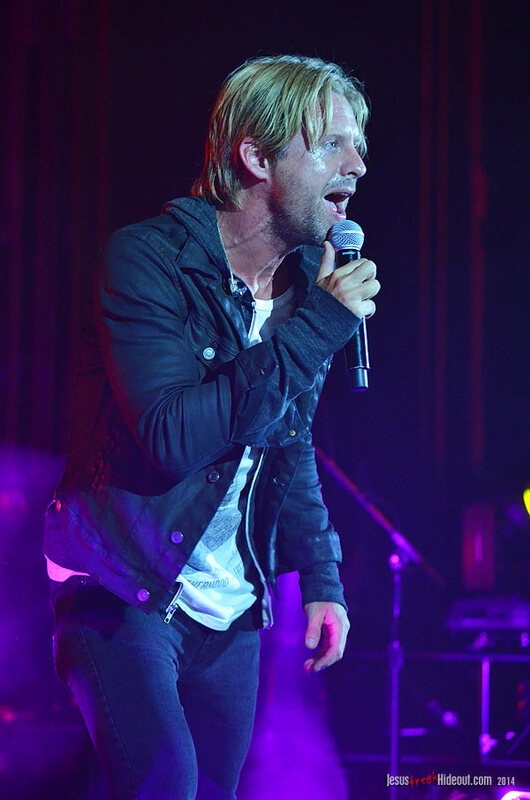 and proceeded to perform "Living The Impossible" and "Live Forever." 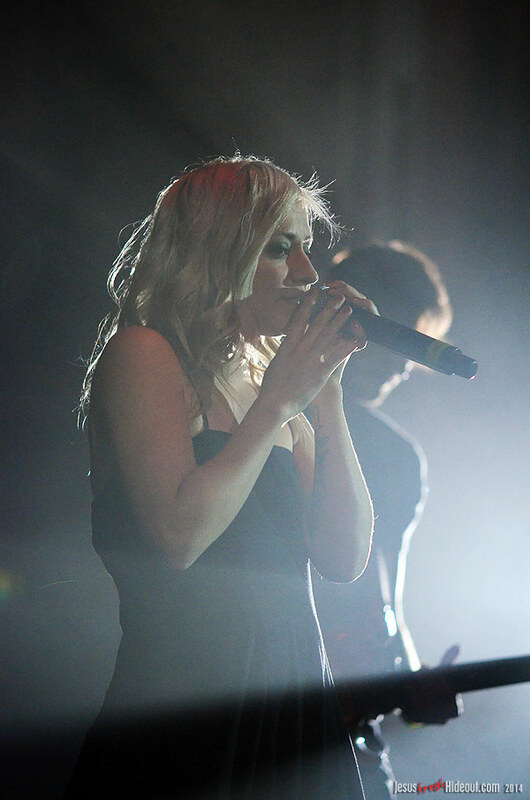 She then offered another Flyleaf favorite, "All Around Me," twirling around the stage while worshipping, and closed with "The Reason" and a cover of John Mark McMillan's "How He Loves." 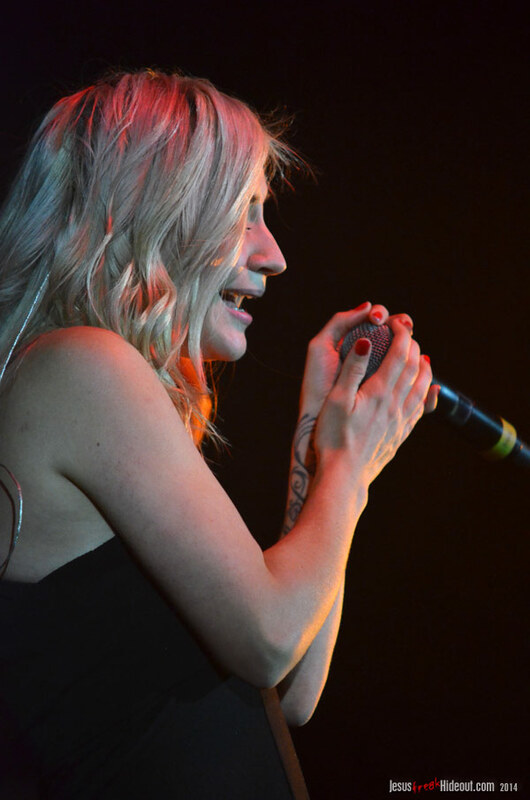 I was among the many who were really bummed by the announcement that Lacey was leaving Flyleaf, and as with most bands and solo acts when the lead singer departs, it's clear that Lacey had taken the sound and essence of the band with her when she left. 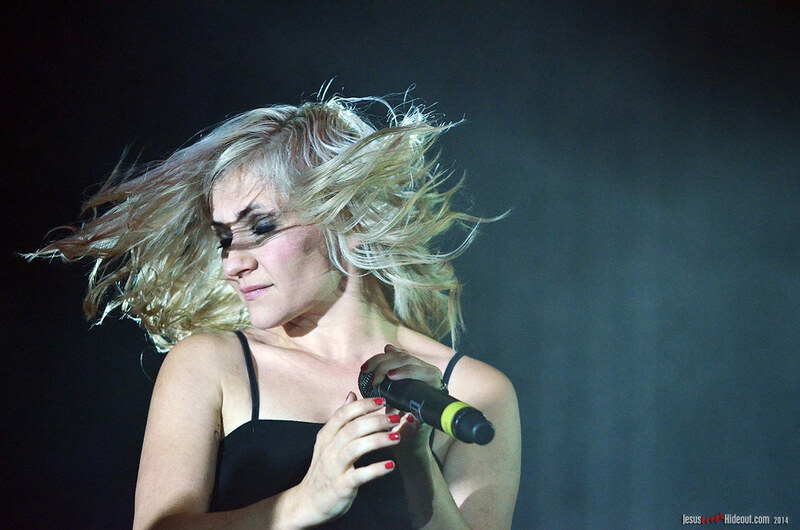 Diehard fans of Flyleaf should love her solo stuff, especially those who are not really feeling the current direction her former band is taking without her. 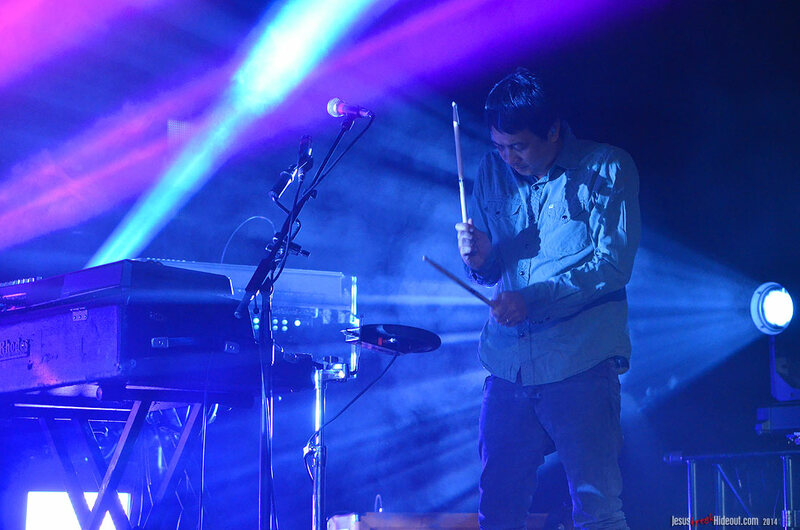 After a set change, the San Diego five took the spotlight. 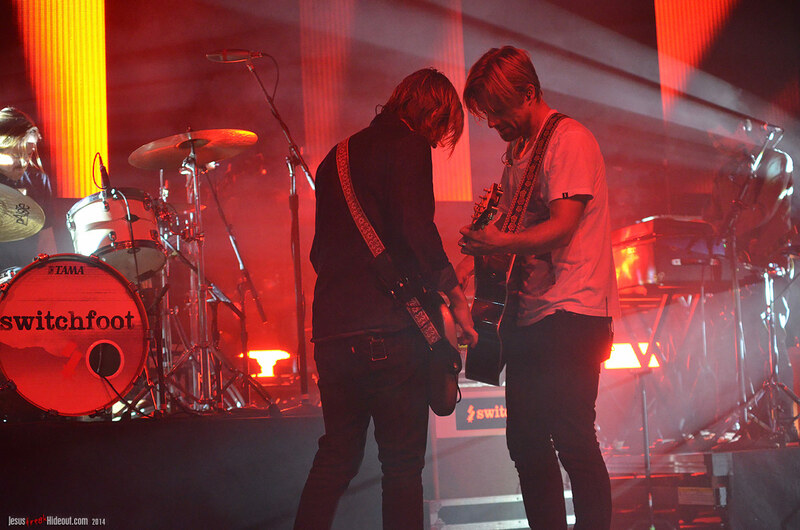 Their set wasn't drastically different from their Spring set, but one of my favorite things about Switchfoot is that they change up their set list nearly every single night (if not actually every single night). 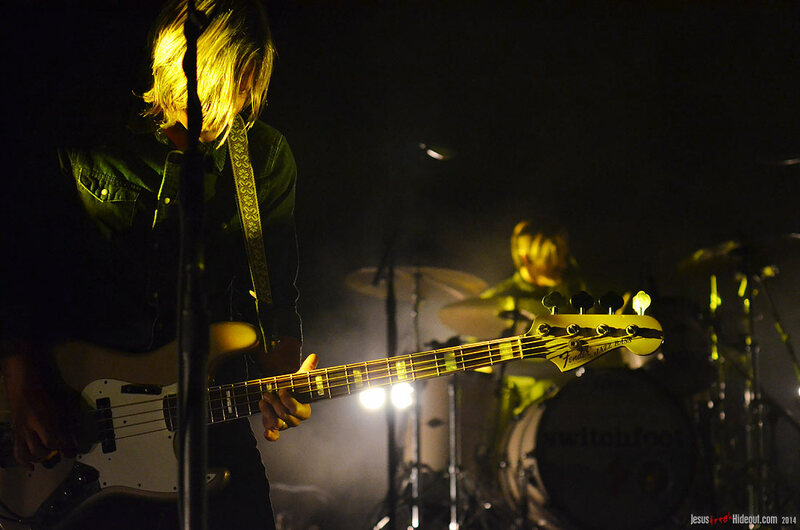 They opened with the fuzzy-guitar-driven rocker "Say It Like You Mean It" from their newest album, Fading West, and continued with a classic, fan favorite in "Stars." 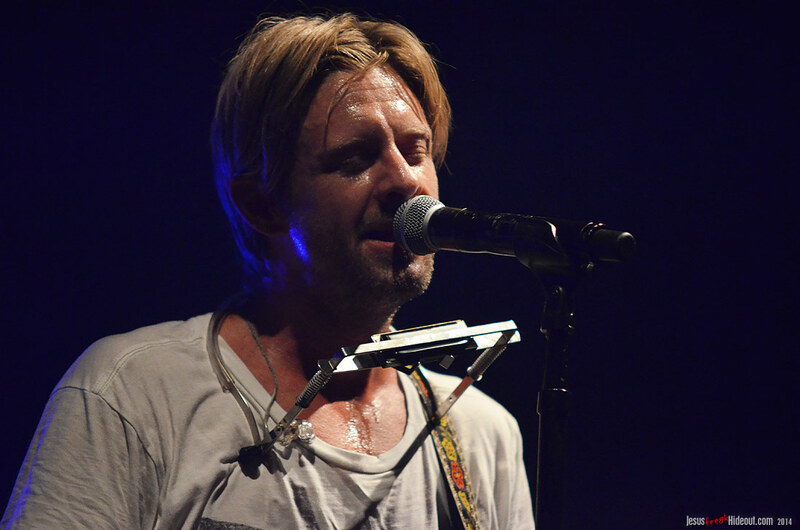 Bassist Tim Foreman was manning an extra keyboard stand next to him on this night, something I'm not sure I've seen him do live before. 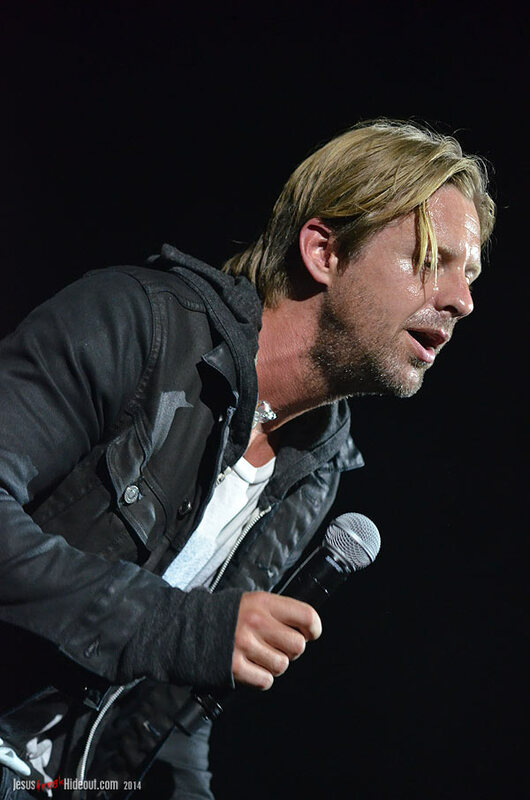 Their hit anthem "Love Alone Is Worth The Fight" followed, with the audience enthusiasm beaming, and Jon ventured into the sea of fans to perform The Beautiful Letdown favorite, "This Is Your Life." 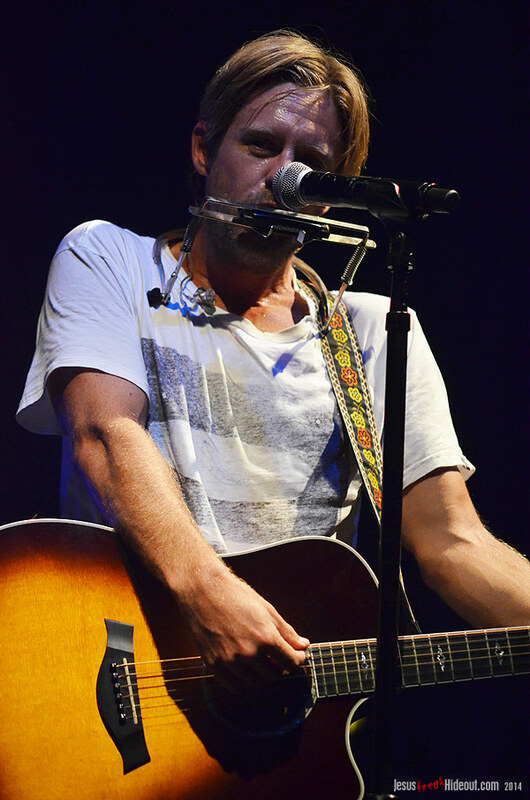 After returning to the stage and introducing his bandmates, they moved right into "What It Costs," a song that had been featured in one of the most emotional and impactful moments in their Fading West film. 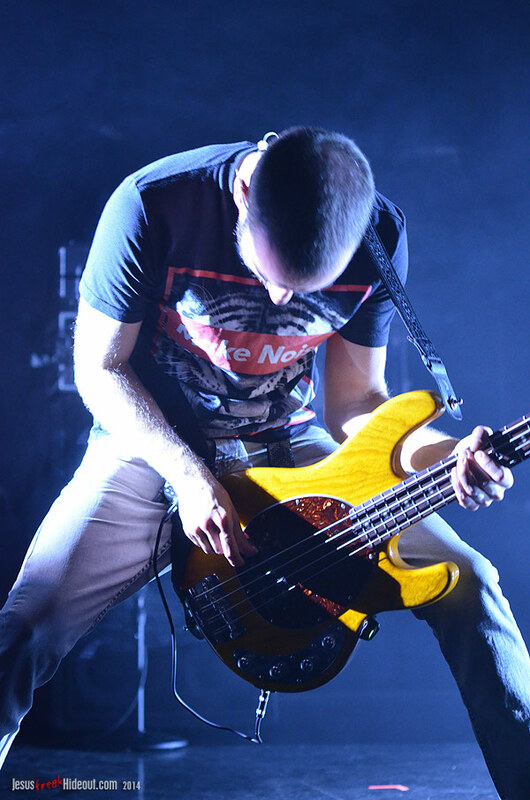 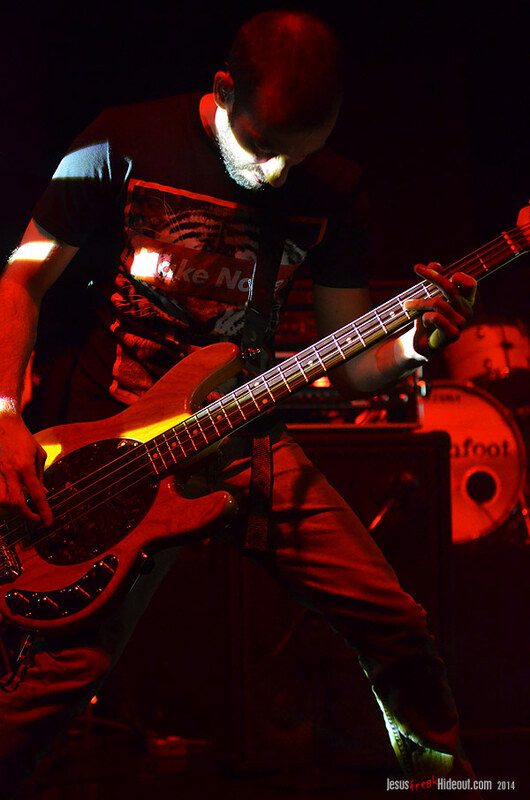 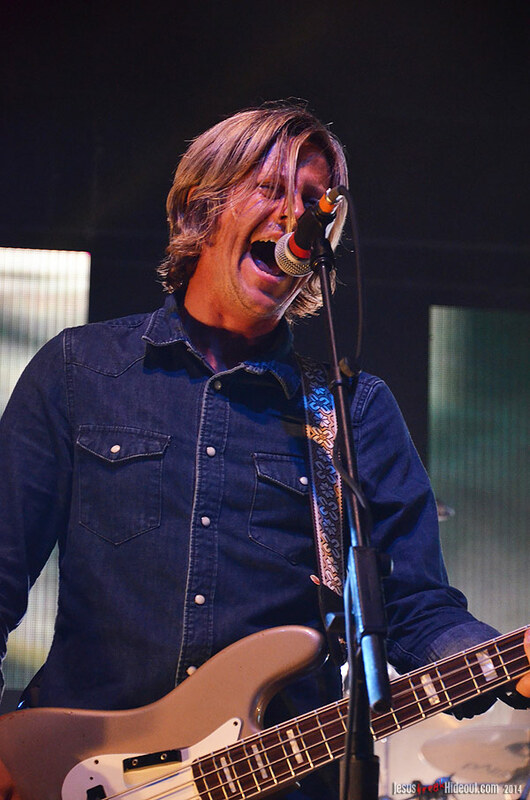 For this song, which just finally released to fans via a brand new EP called, The Edge of the Earth, bassist Tim Foreman trades his bass for an acoustic guitar and sings lead vocals. 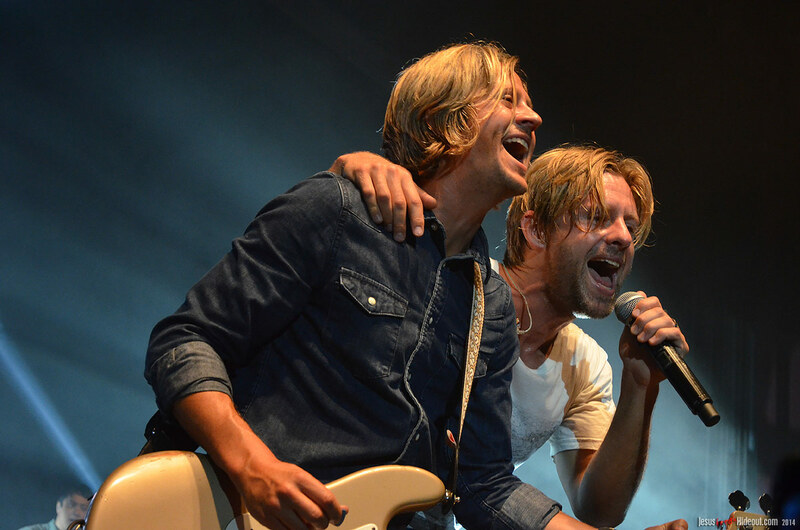 It's a chilling song and a tender moment all-around, and when the song finished, his brother Jon (the band's only lead vocalist--until this song) couldn't contain his joy and told the audience that it was not only the first time the band had played "What It Costs" live, but it was also Tim's first time singing lead vocals in concert in the band's 17 years. 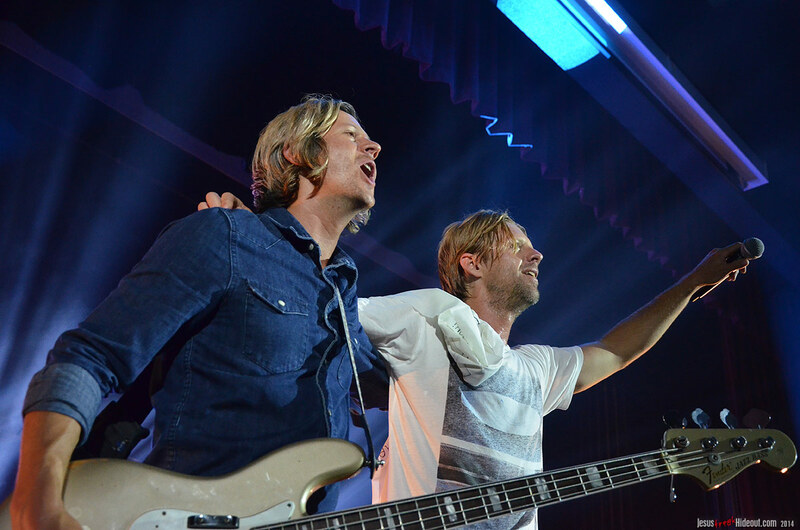 Jon continued to gush about his brother's performance and admitted they didn't want any fanfare leading up to Tim's performance. 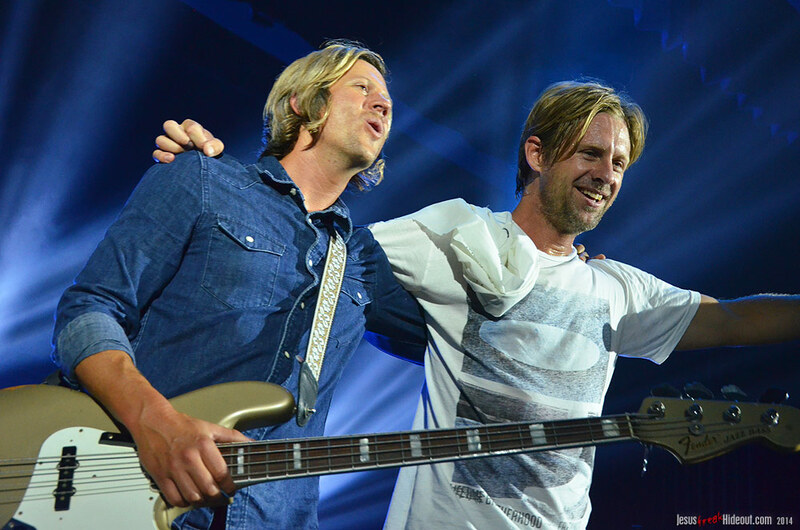 When Jon, who was grinning from ear to ear, asked Tim how it went, he replied, "That was scary! 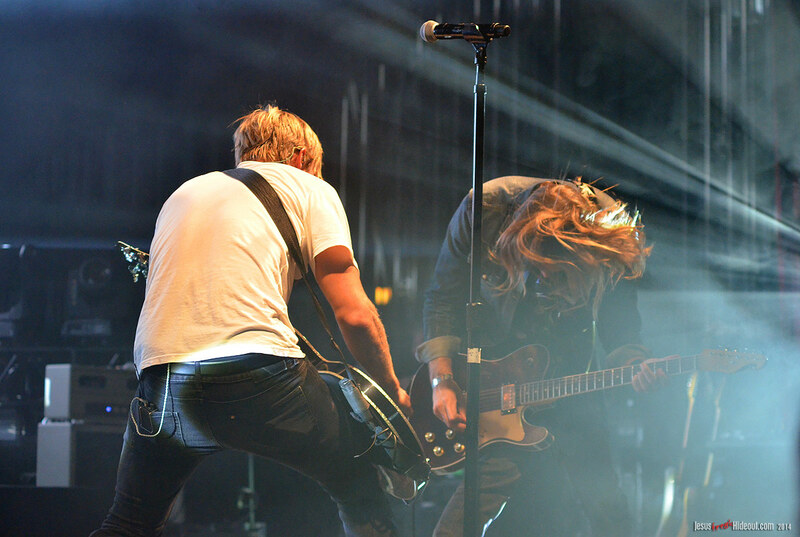 I don't know how you do that every night?!" 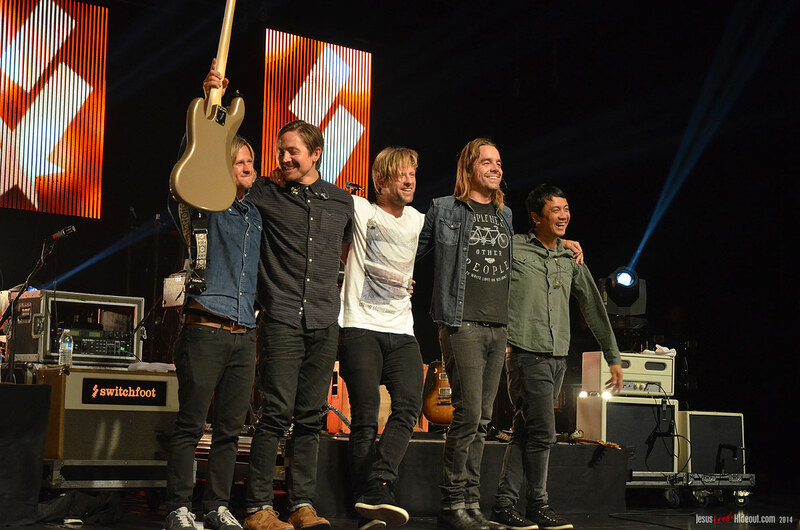 Short Clip of Switchfoot Performing "What It Costs"
Tim's ballad was followed by one of Jon's in "Your Love Is A Song" (for which he strapped a harmonica around his neck), and then the singer/songwriter talked a bit about having just played at Awakening Fest in Virginia and the kids who inspired their next song, "Dark Horses." 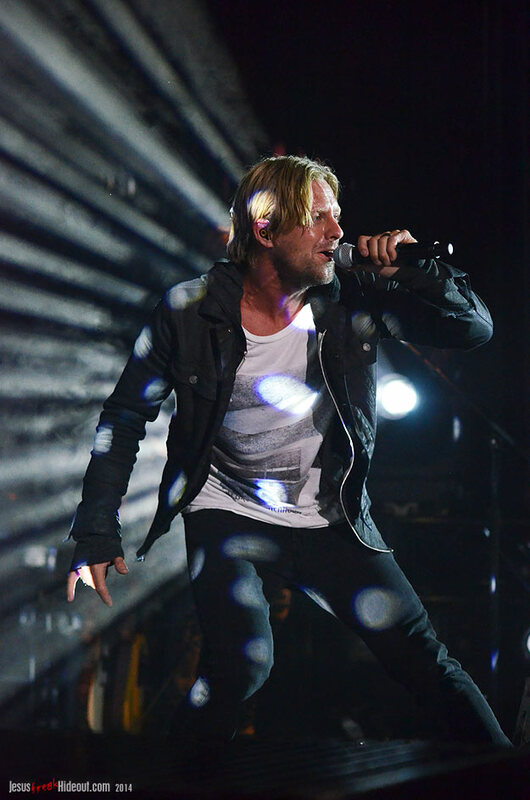 That blazing rocker was followed by their huge hit, "Meant To Live," and then they returned to the newer pop anthems with "Who We Are" and the super catchy (and super poppy) "Let It Out." 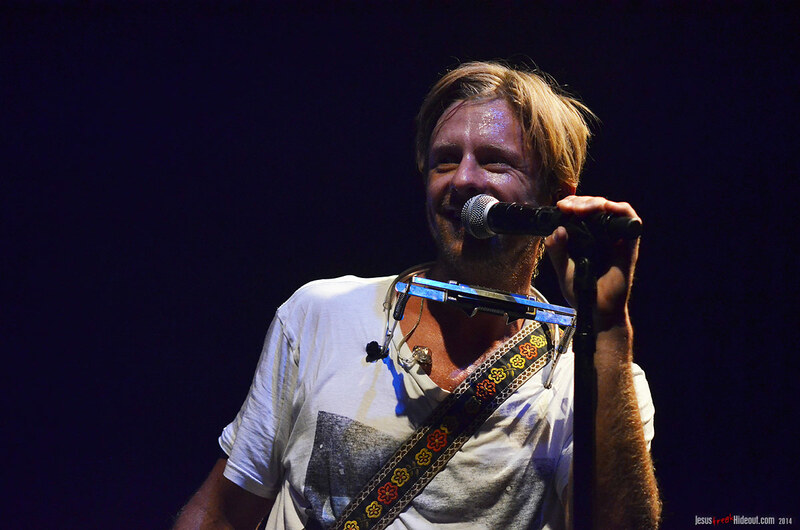 Jon ventured back out into the crowd to sing along with the fans, and before returning to the stage, started the next song "When We Come Alive." 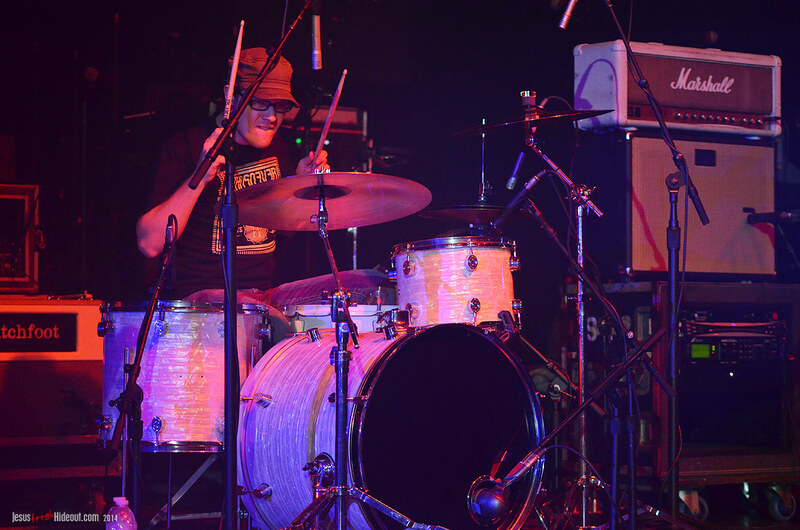 Foreman returned to the stage to finish the song and then the guys left the stage. 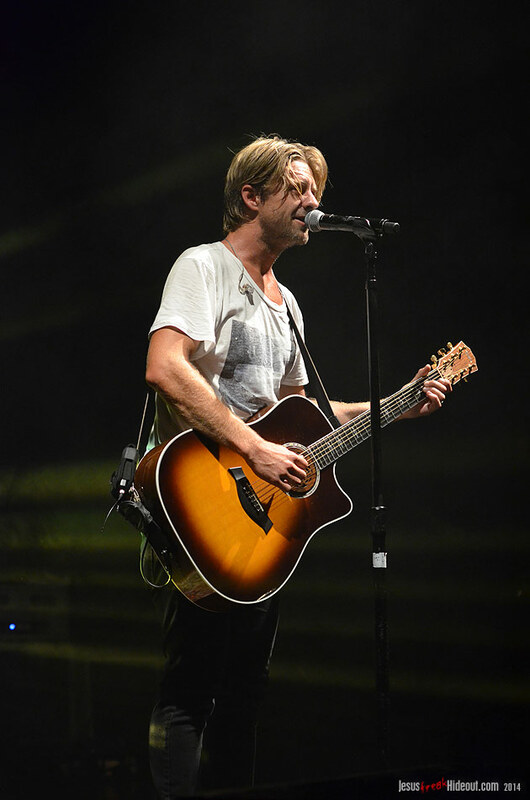 It felt a little short for a Switchfoot show, but fans can expect an encore from these guys, and they returned before long for "Dare You To Move" and one of my favorites, an anthem for Heaven, "Where I Belong." 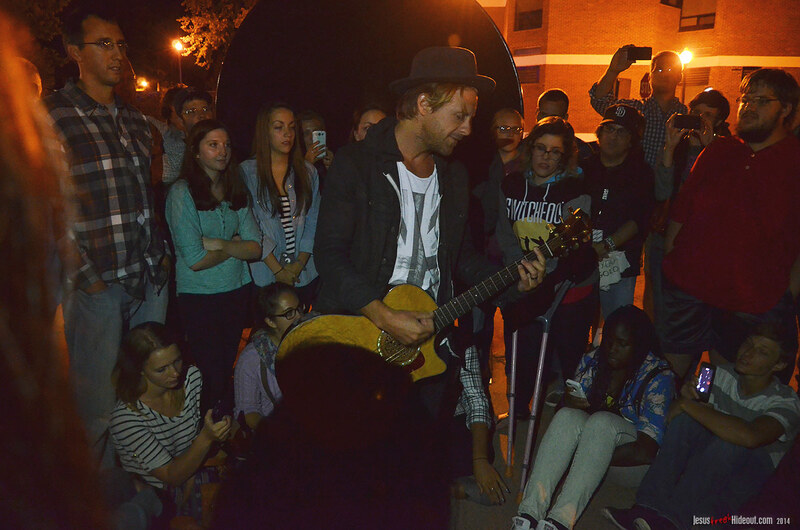 When the show finished, Lacey stuck around to sign autographs (a brand new book she wrote called The Reason - How I Discovered a Life Worth Living releases in October but she had copies there already for sale), while Switchfoot fans got antsy wondering if Jon Foreman would do one of his famous "after show" sets. 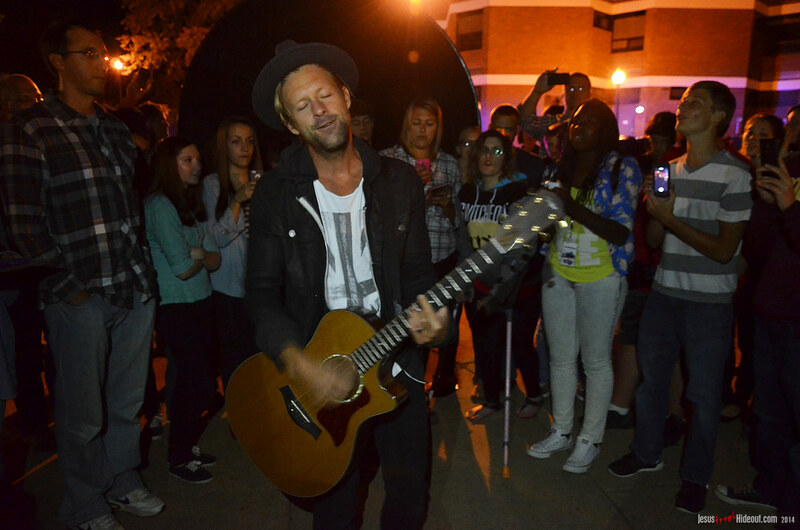 Sure enough, he eventually tweeted an update as to where he'd be performing, and a quite sizable crowd gathered near the band's bus to wait for him. 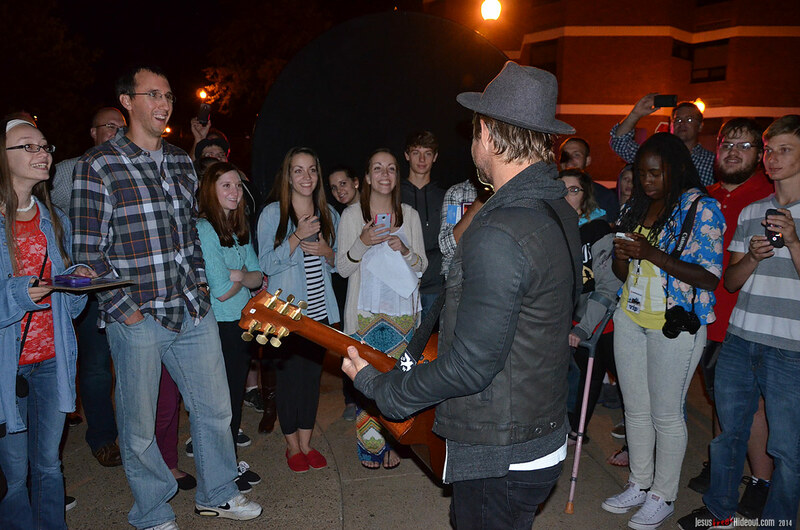 When Jon emerged, he relocated the crowd to a different spot and took a few requests for songs to play. 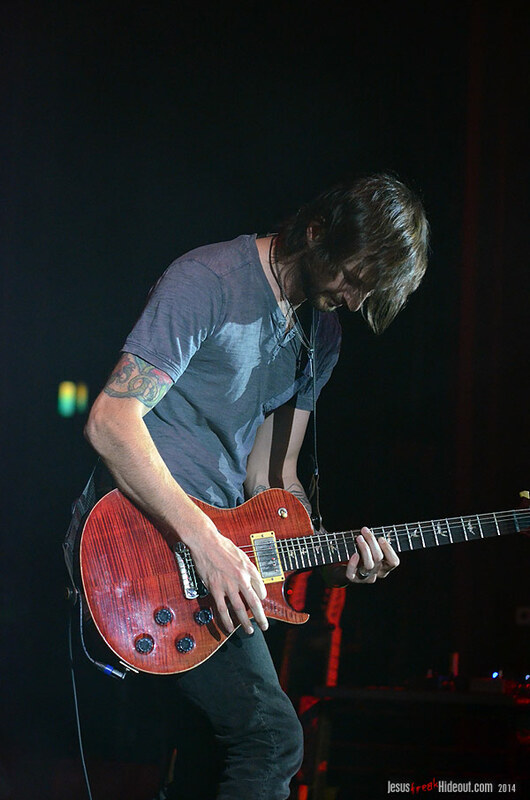 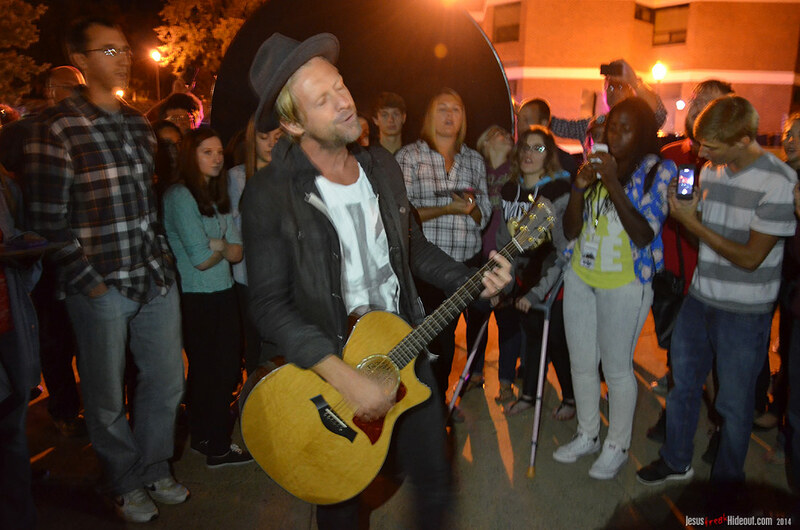 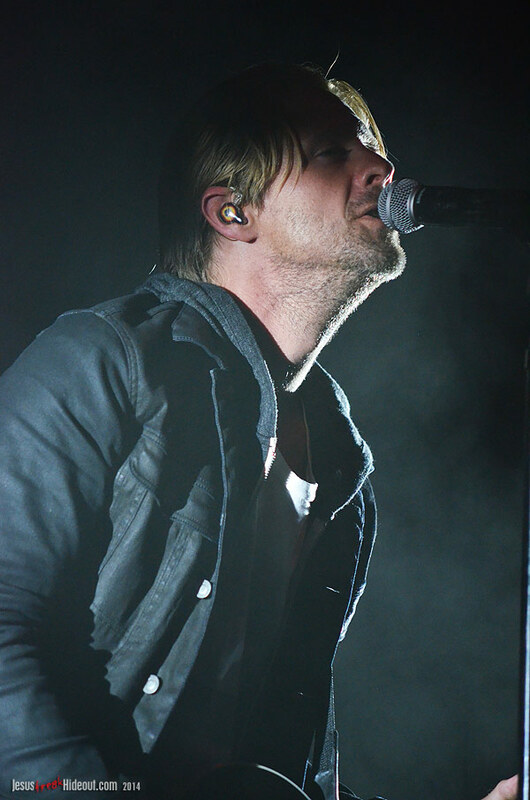 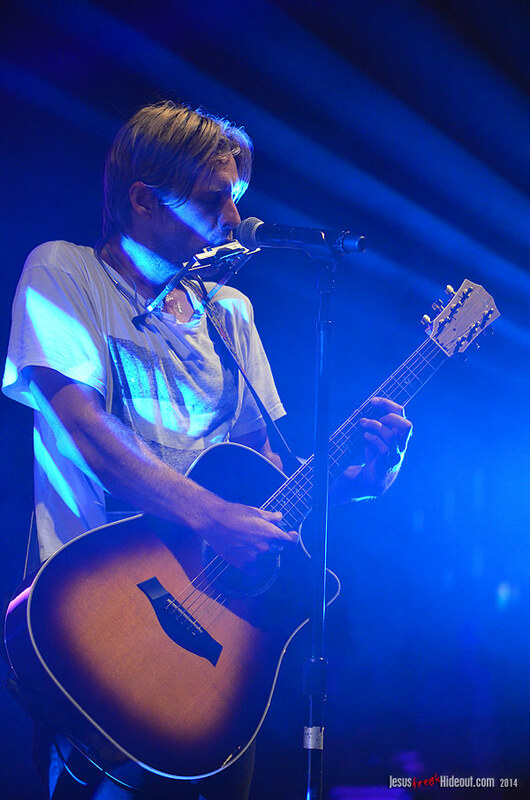 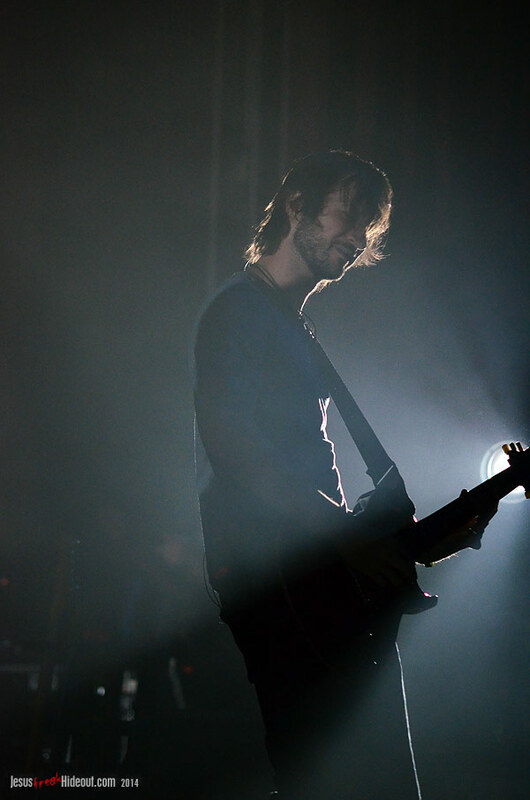 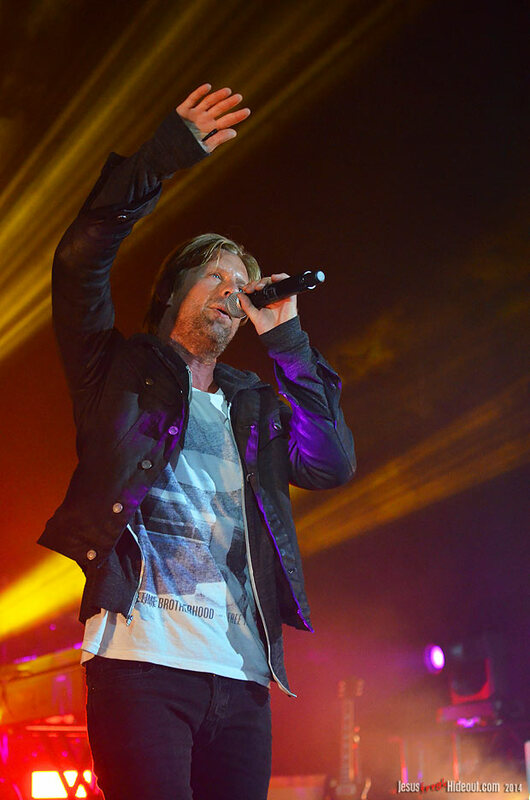 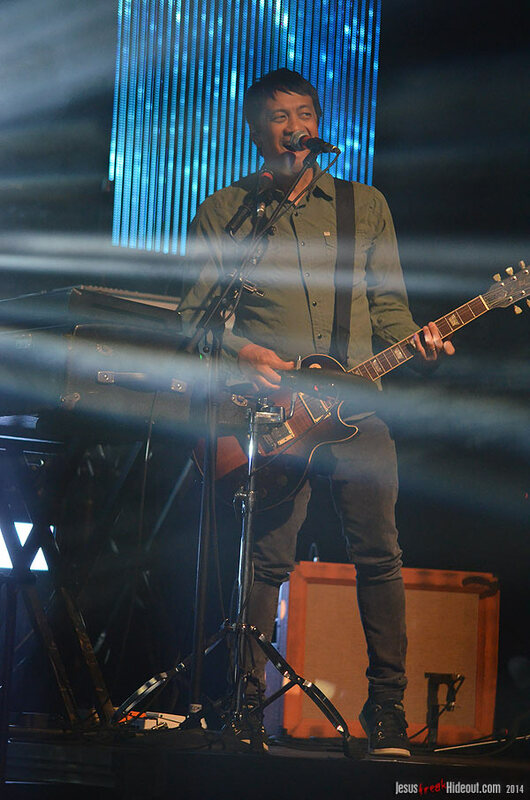 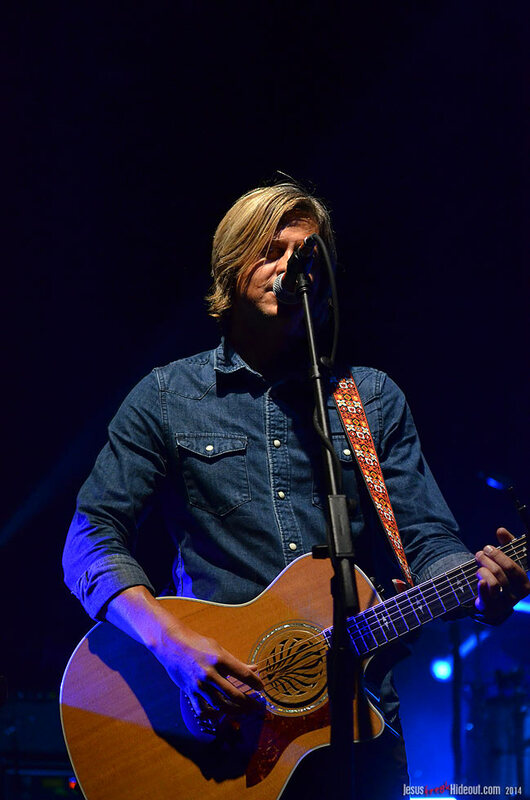 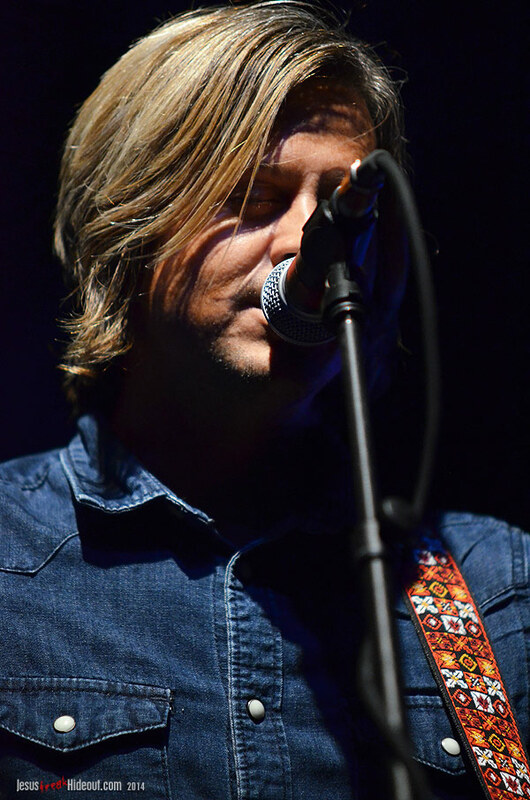 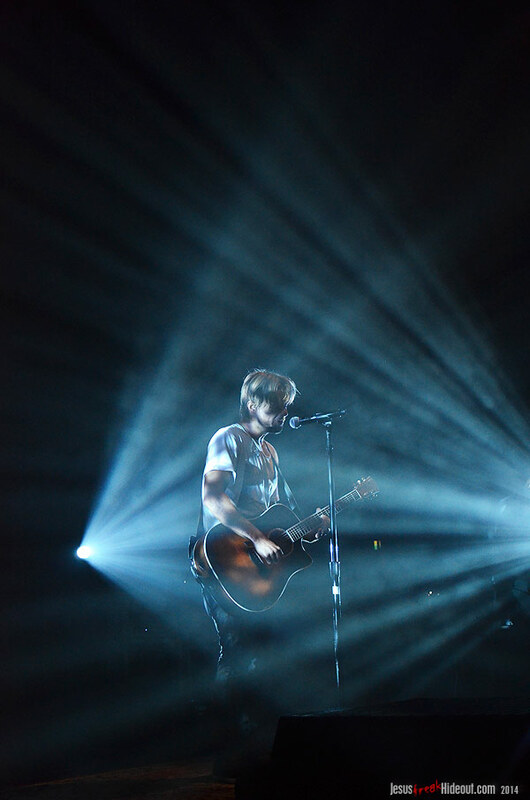 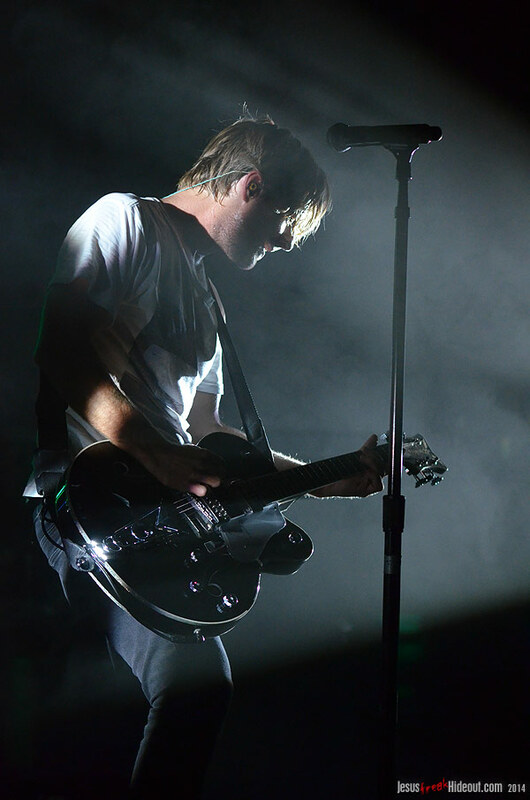 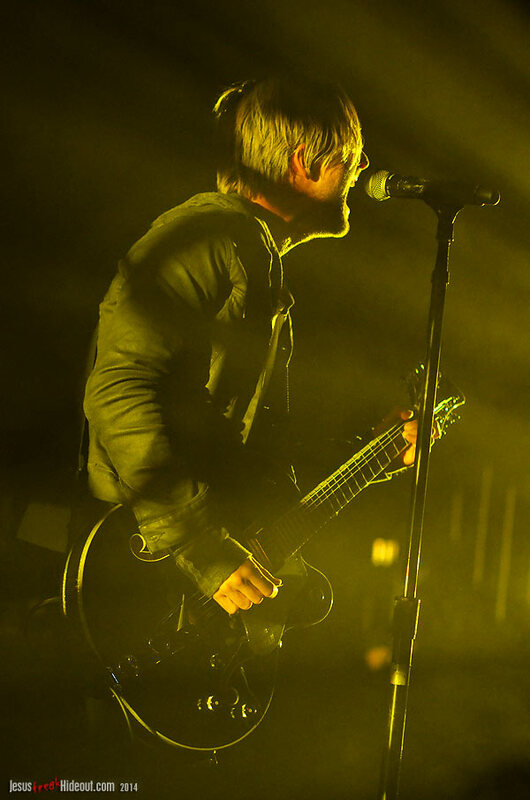 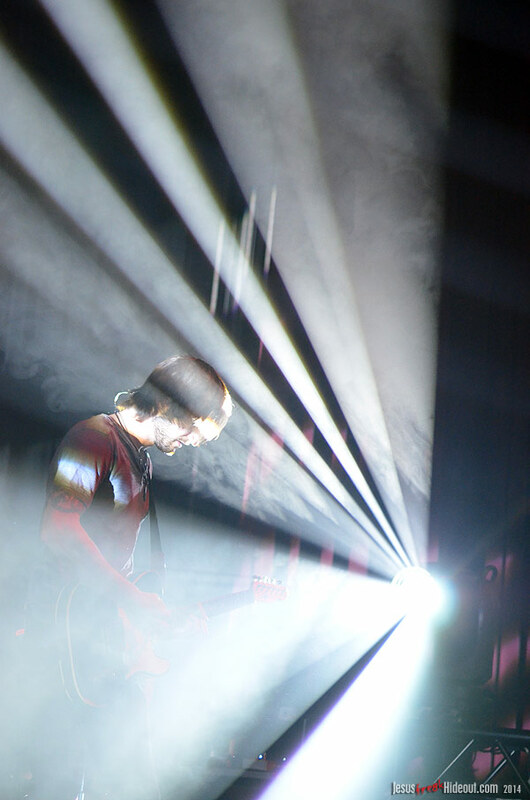 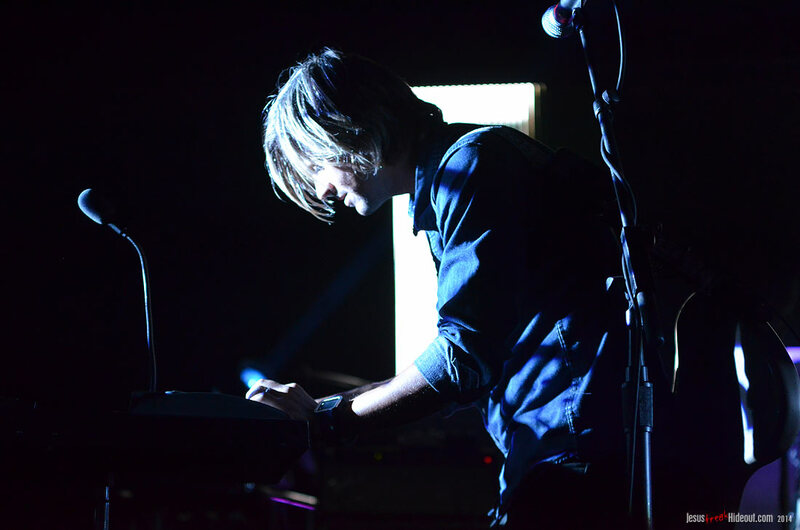 With just an acoustic and lit by a street lamp nearby, Jon performed Switchfoot's "Restless," followed by "The World You Want," before playing one of his newer solo songs, "All of God's Children," which he said will be on one of a series of new solo EP's to release in 2015. 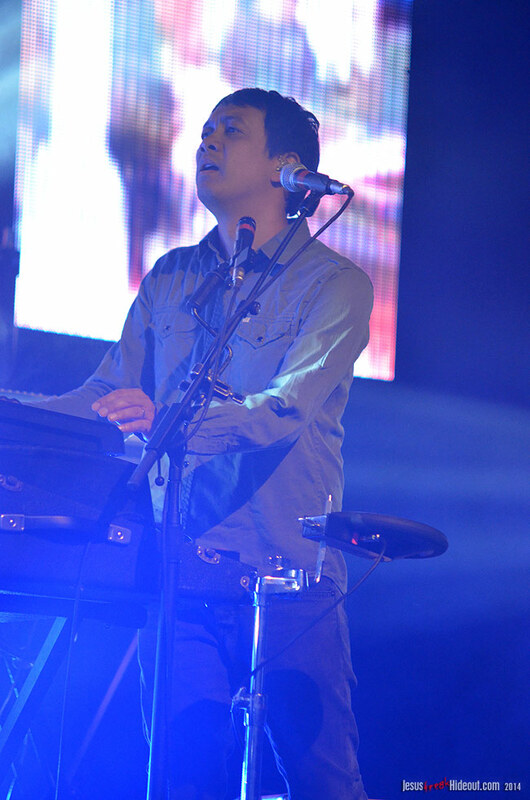 Finally, he closed with the worshipful "Your Love Is Strong" before calling it a night and dismissing the crowd. 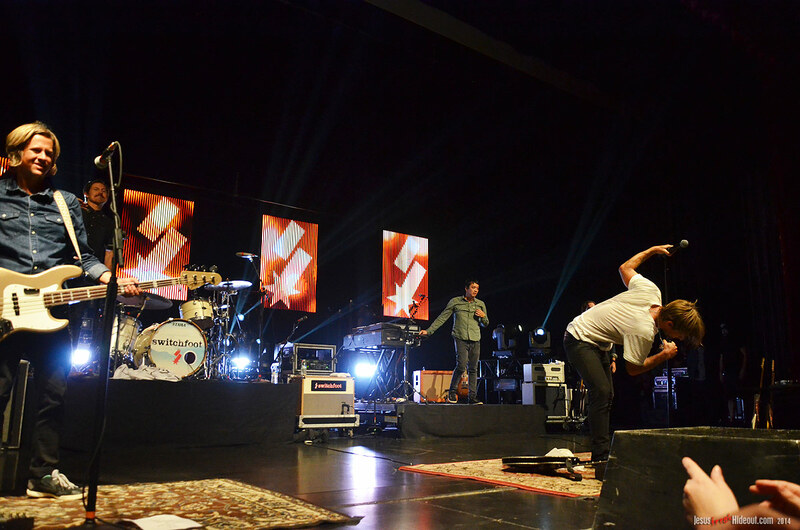 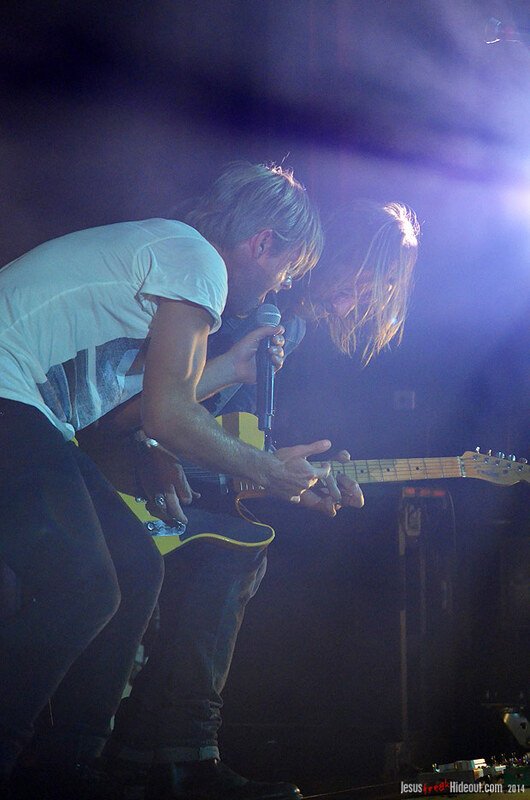 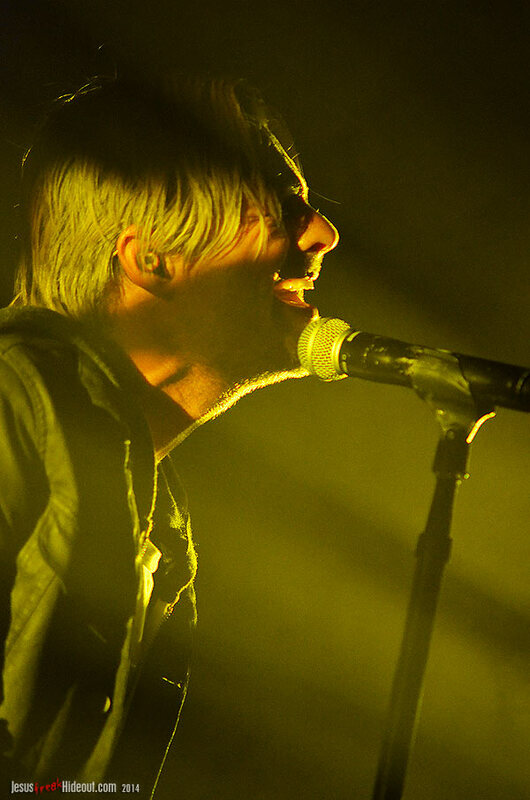 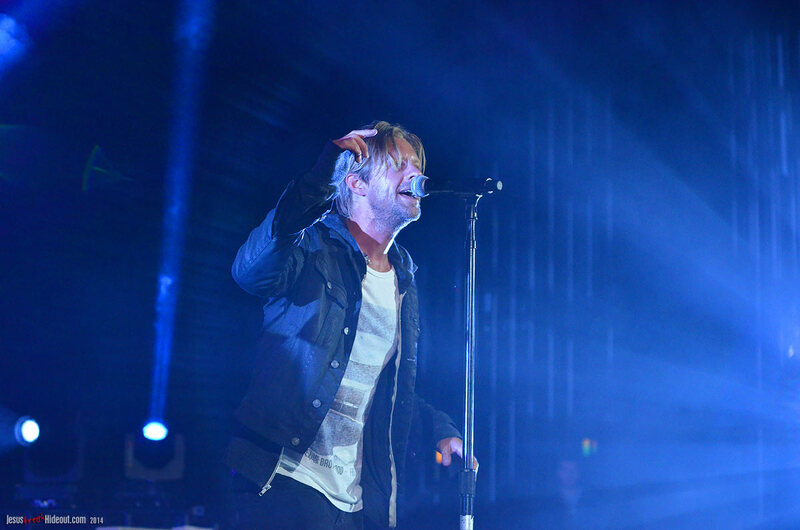 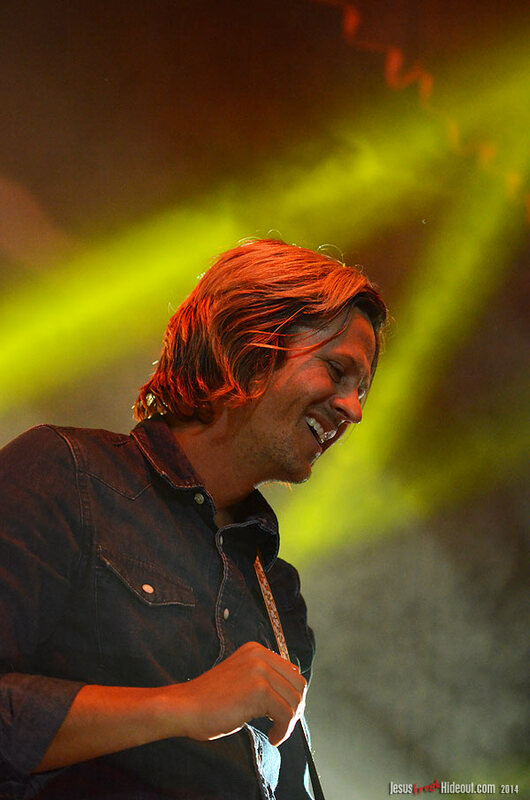 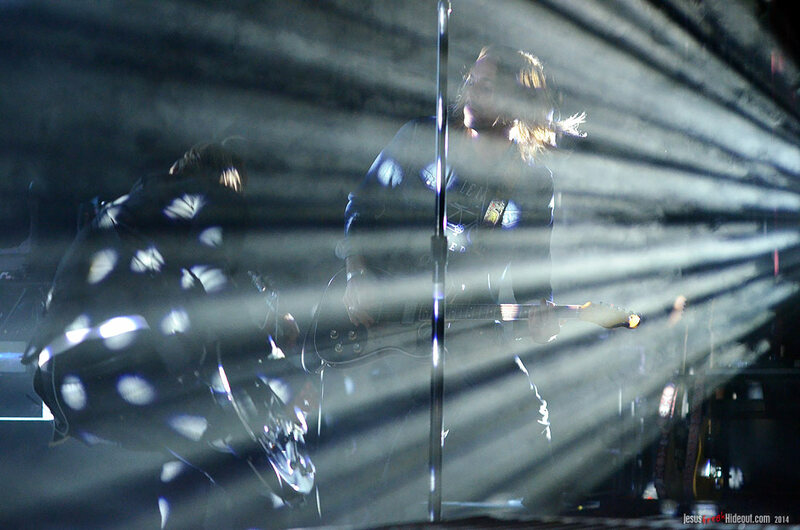 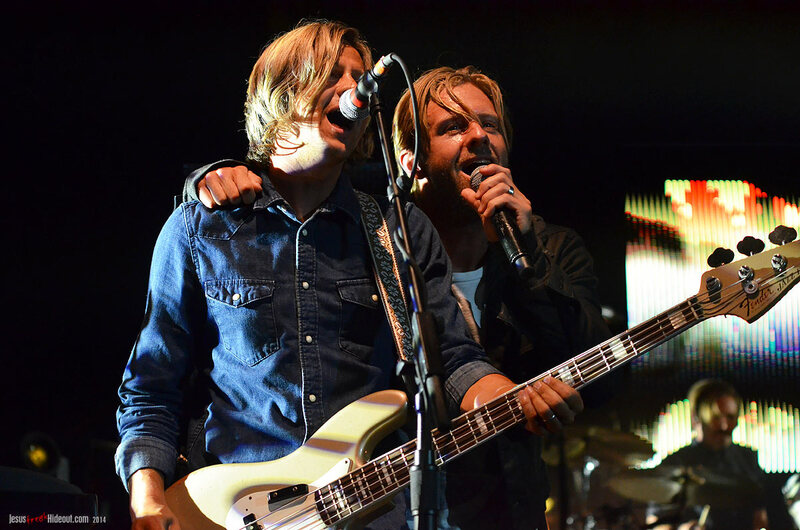 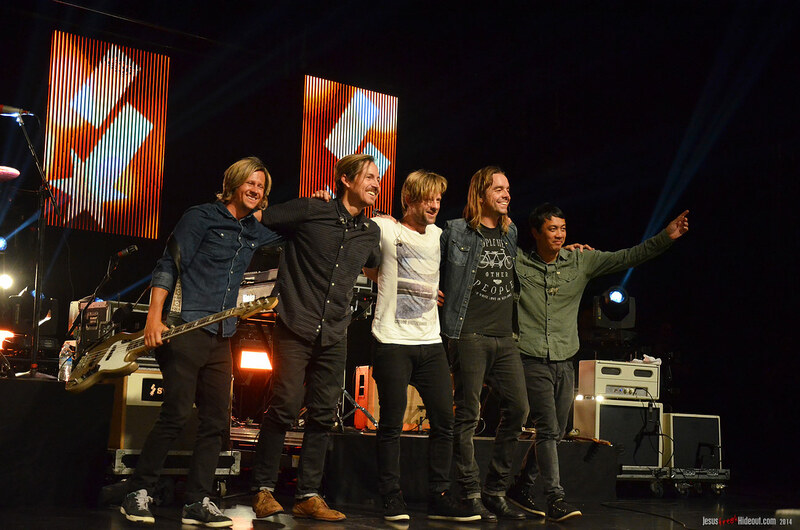 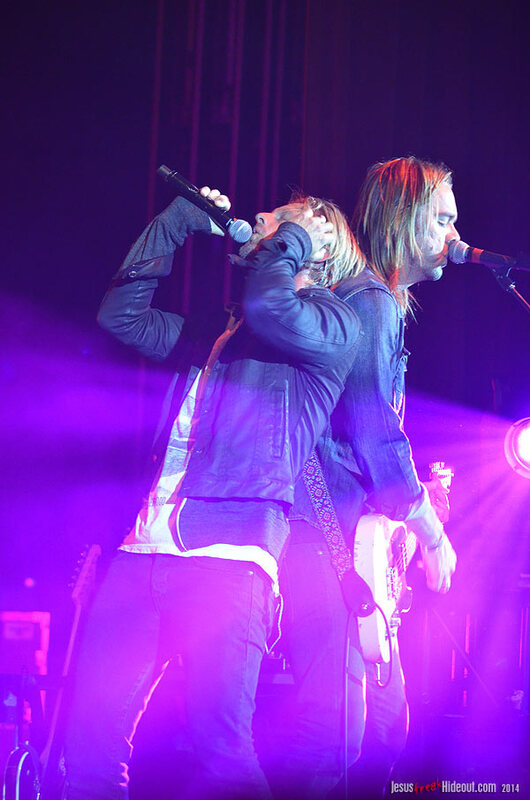 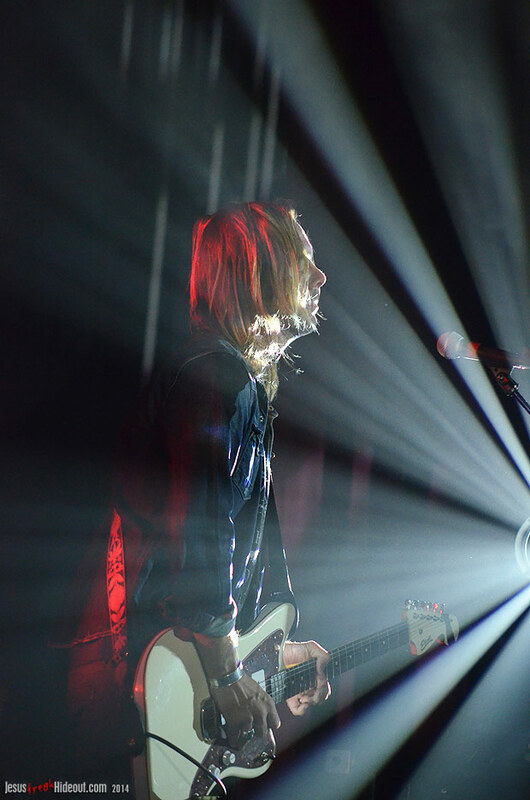 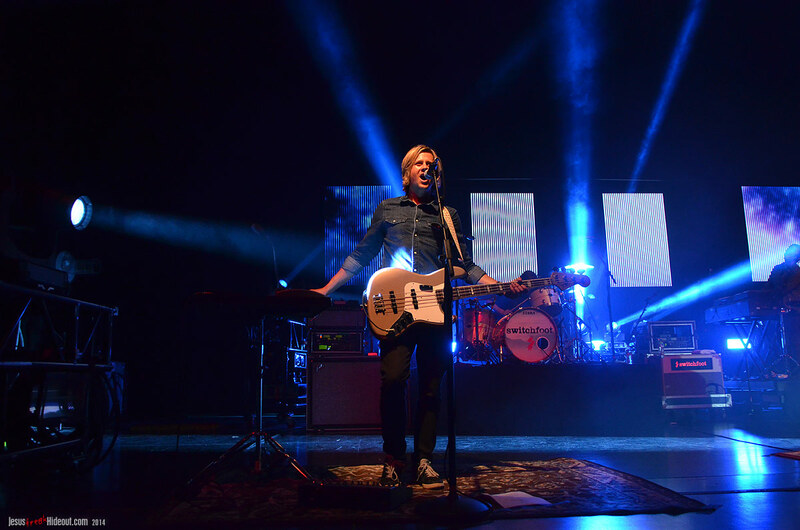 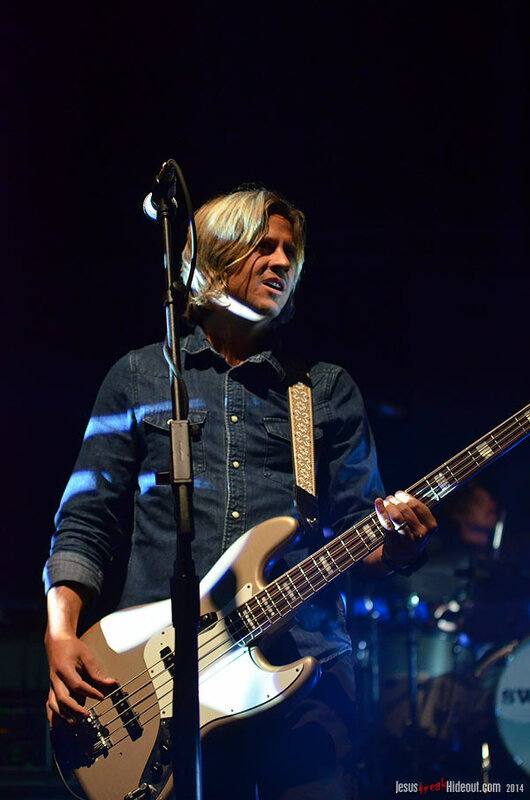 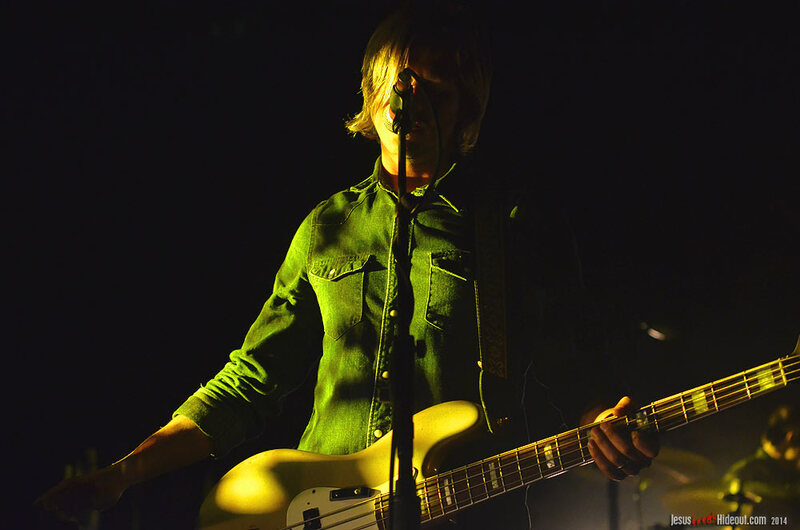 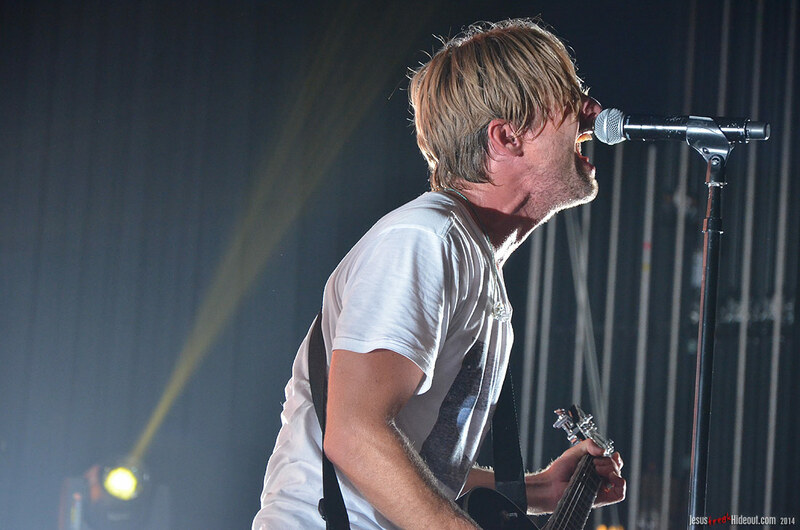 It's a fun, intimate and candid little gathering and any serious Switchfoot or Foreman fans won't want to miss these little Switchfoot show highlights. 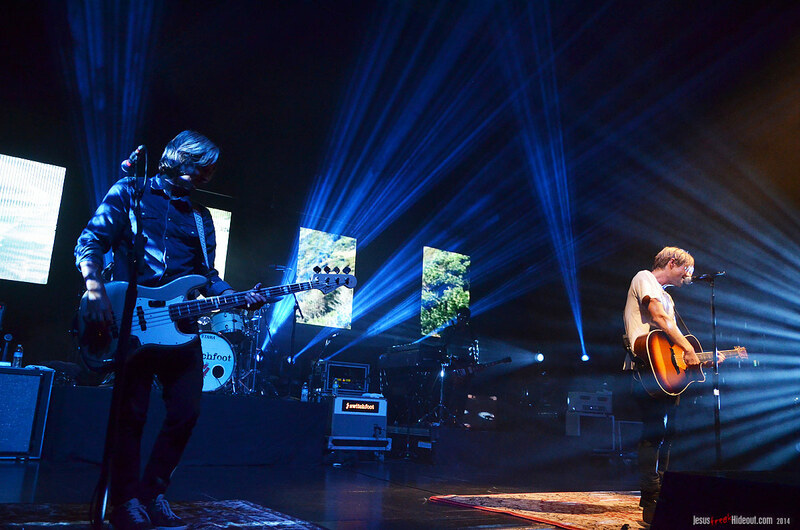 This leg of the Fading West Tour is another wonderful night of music. 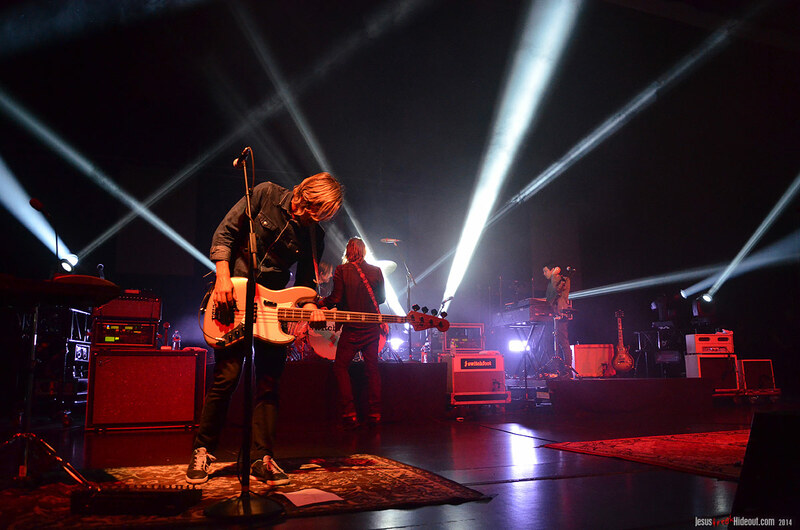 It's unfortunate that Lacey isn't officially part of Switchfoot's tour, but if you can catch her solo show sometime, don't miss it. 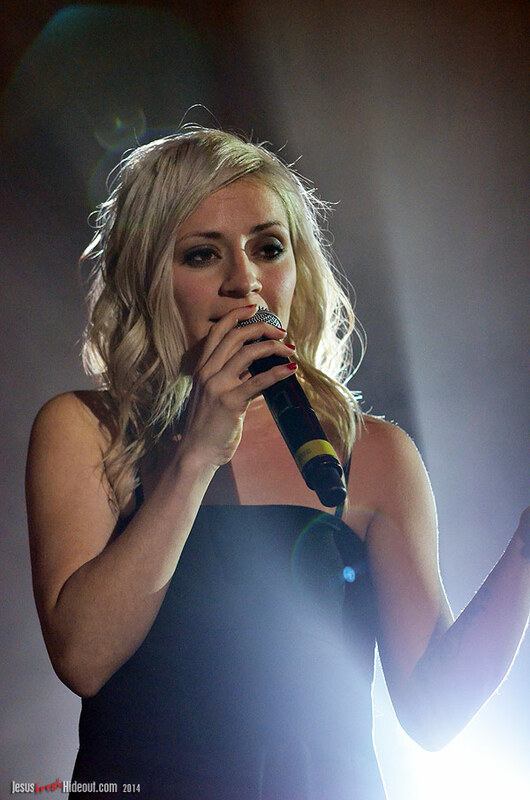 It's good, solid rock with an edge, and her personal testimony adds a great deal as well. 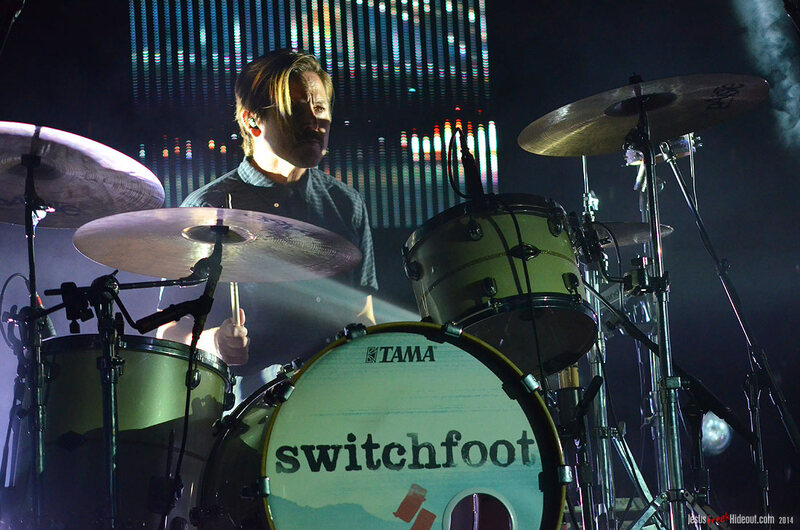 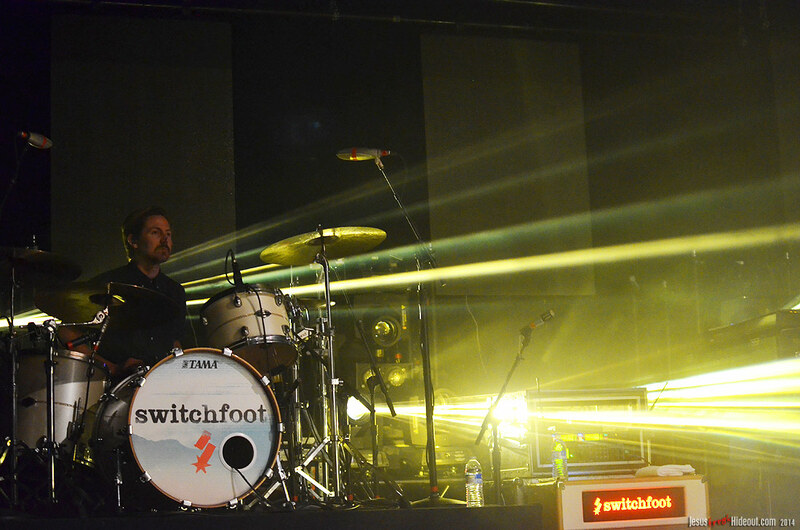 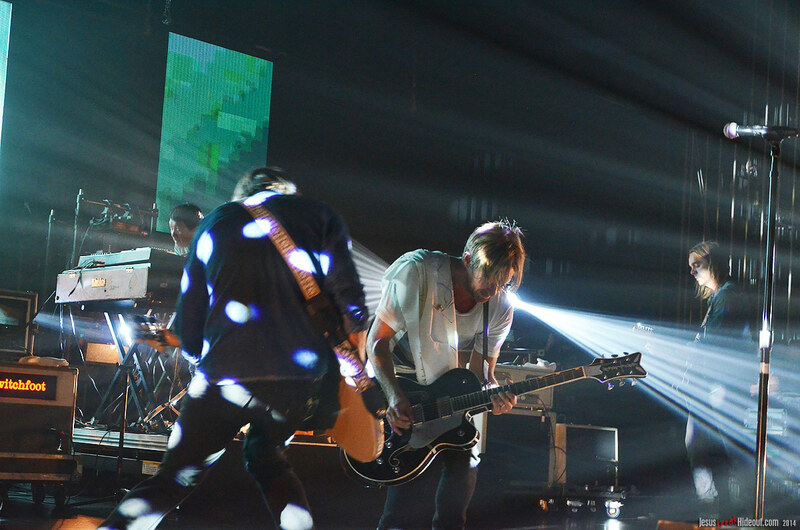 And of course, if you love a good pop rock show, you can hardly do much better than Switchfoot. 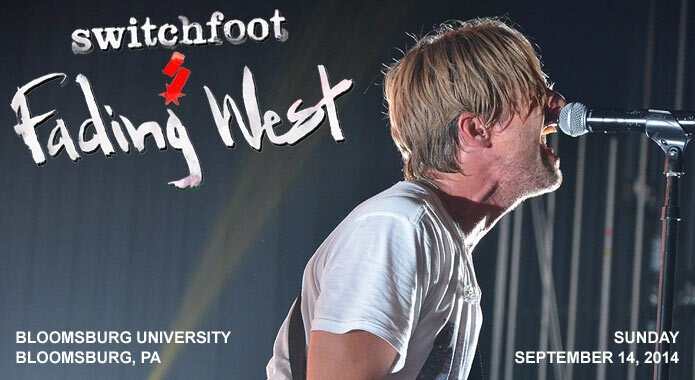 Definitely check out the Fading West Tour this fall if you can! 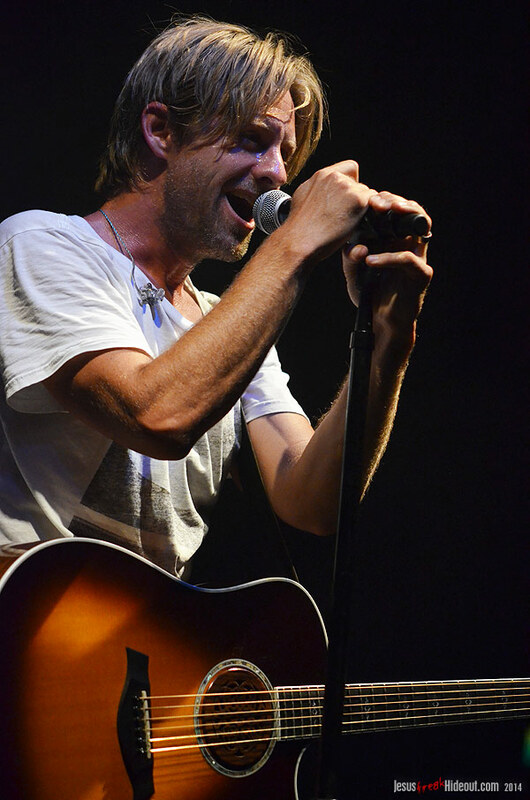 Short Clip of Jon Foreman Performing "All of God's Children"